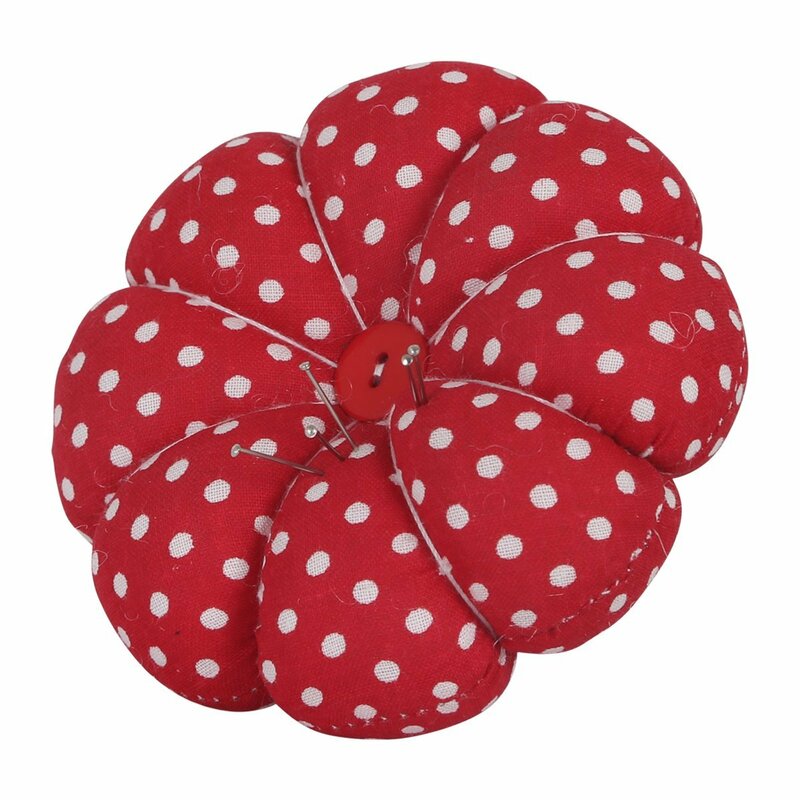 Stylish Fabric Coated Design, Lovely Sunflower Shaped. 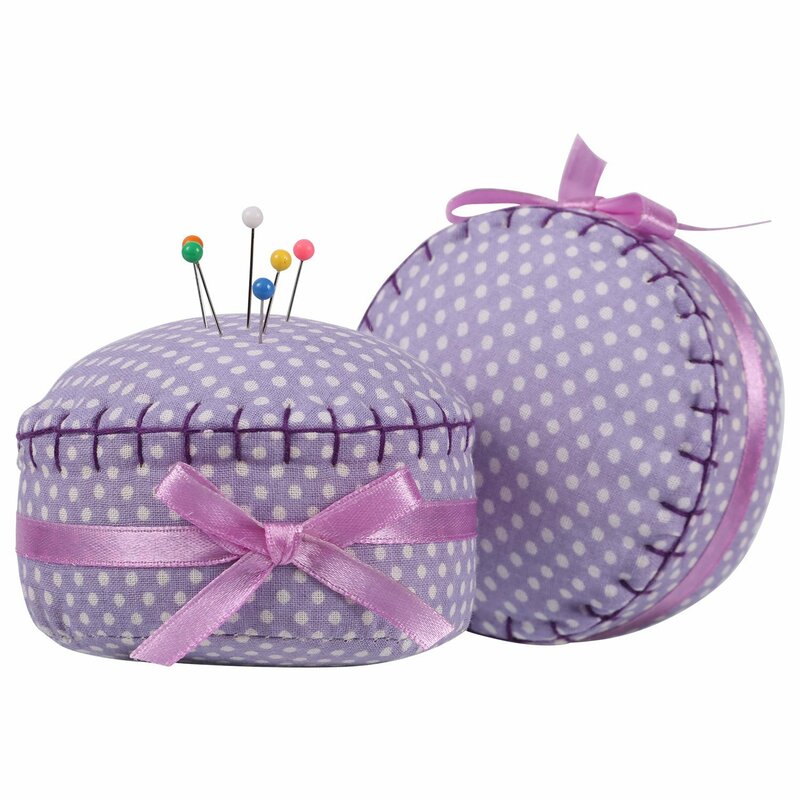 With Fully Padding, Keep Your Needles Fixed and Safely. 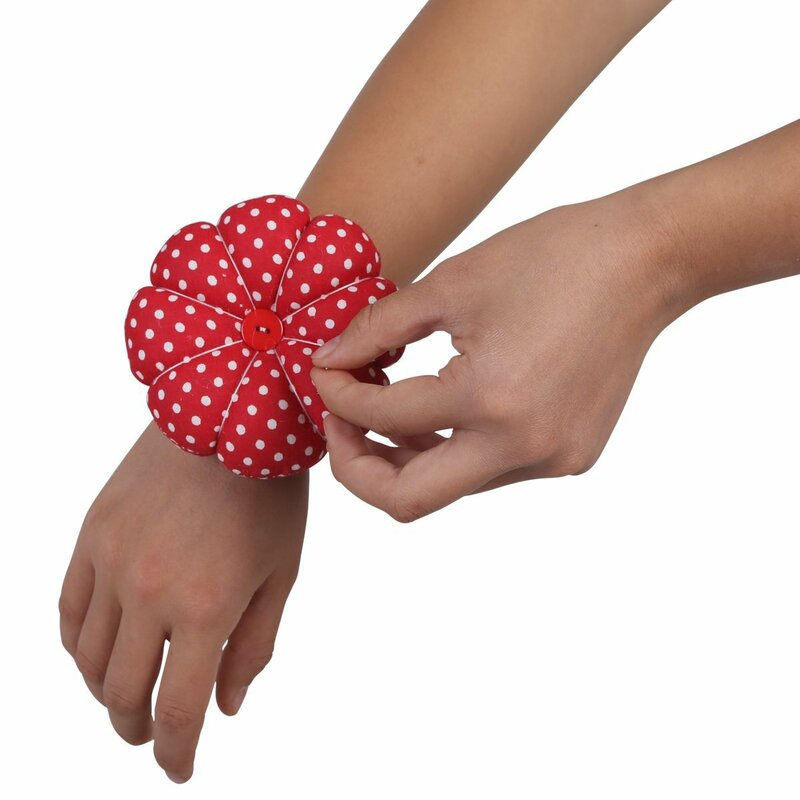 With Elasticated Wrist Band, Easy to Wear. 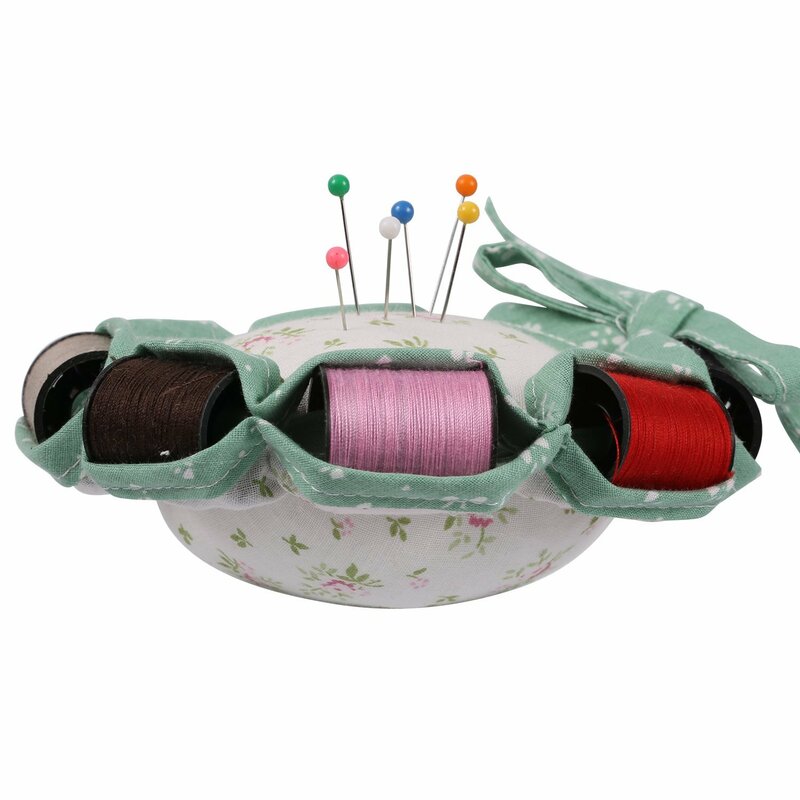 With Coated Board at Back to Stop the Pins Hurting Skin. 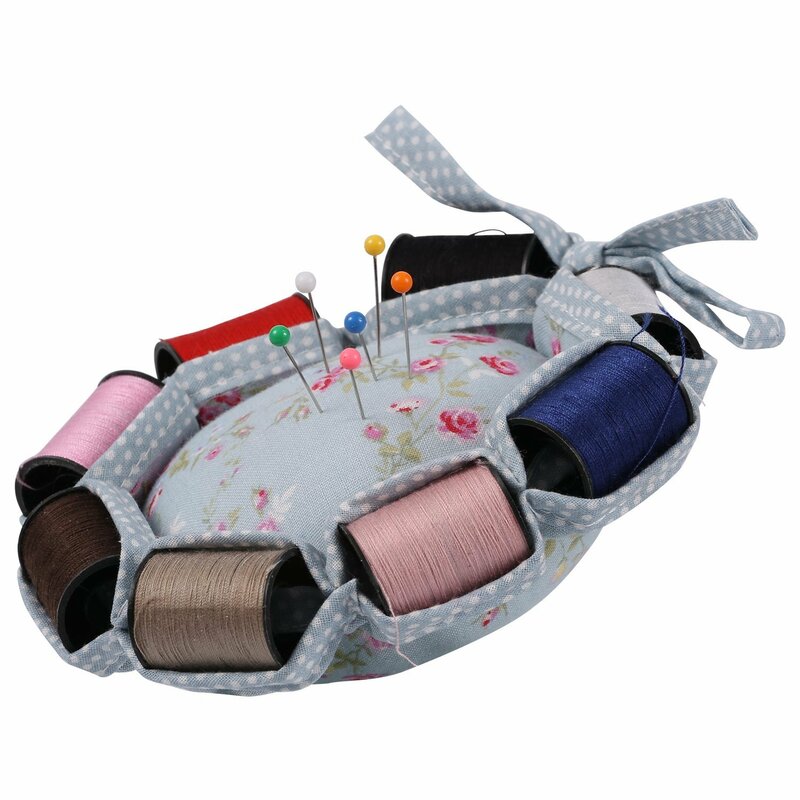 Size: 2.4x2.4x0.8 INCH, Perfect for Short Pins. 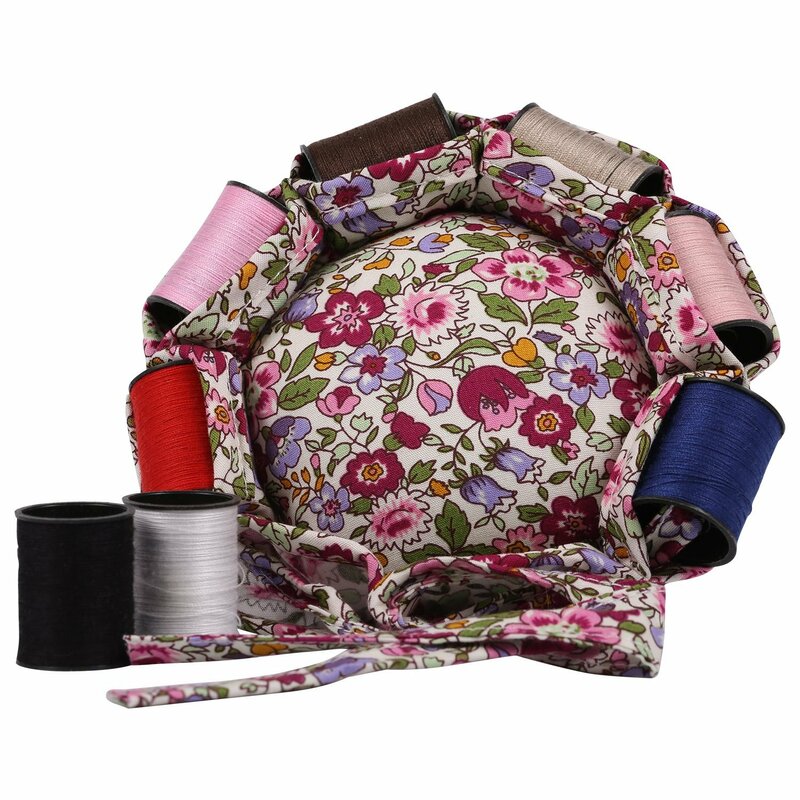 Updated with Pack of 2. 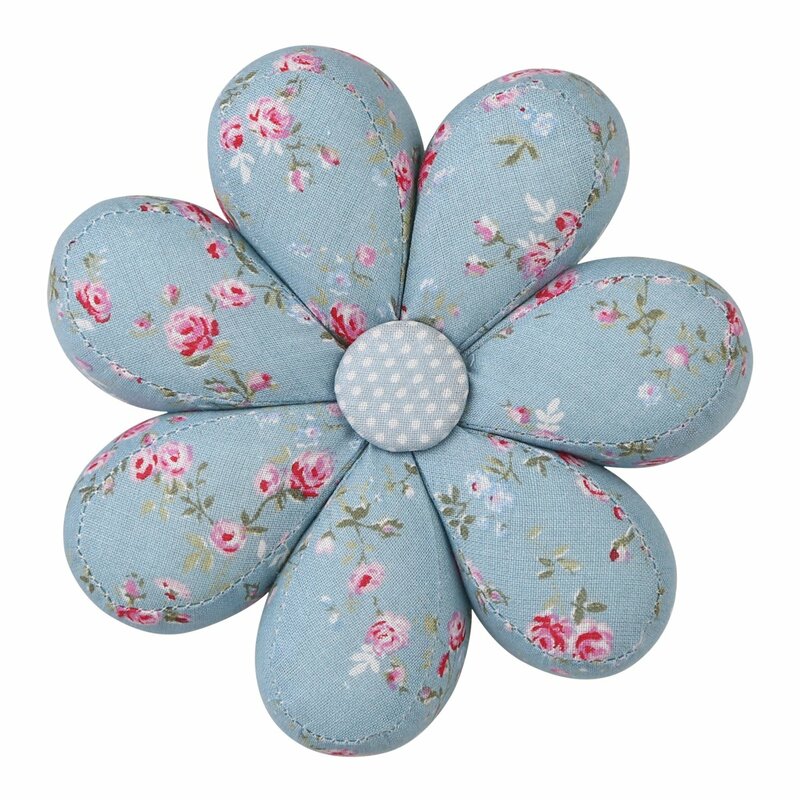 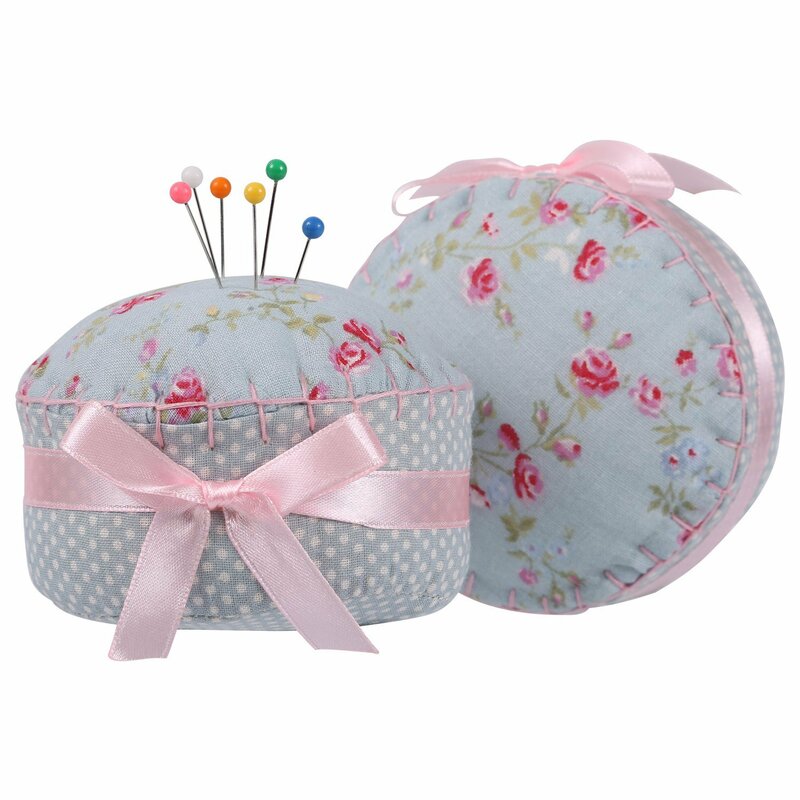 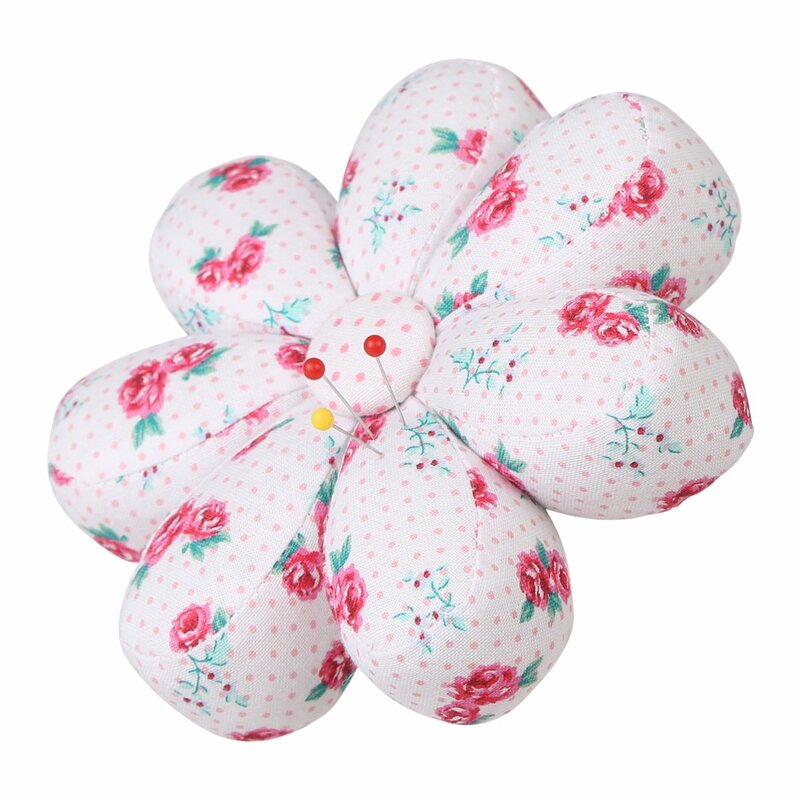 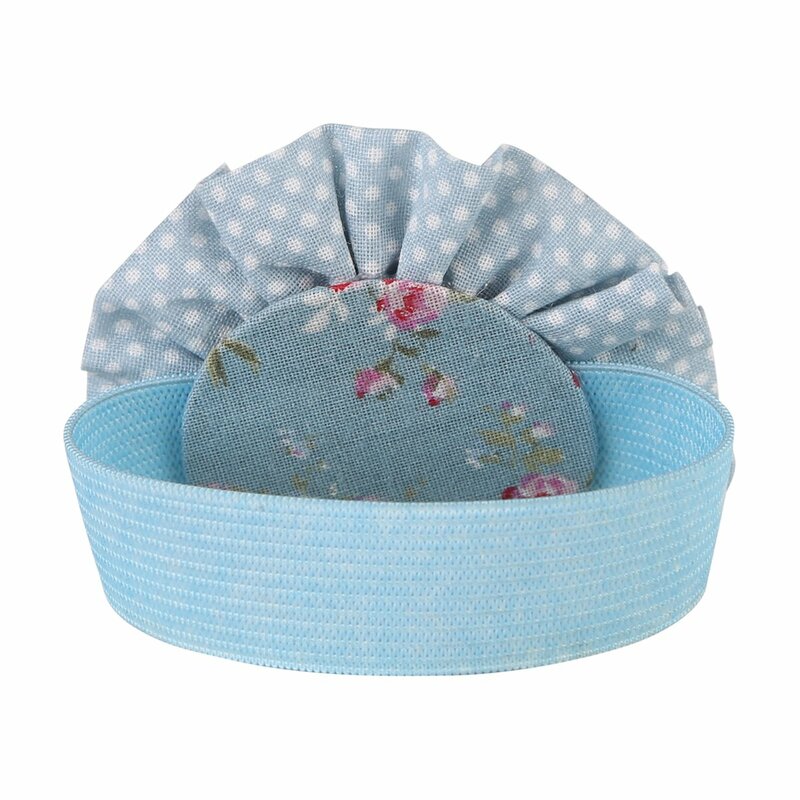 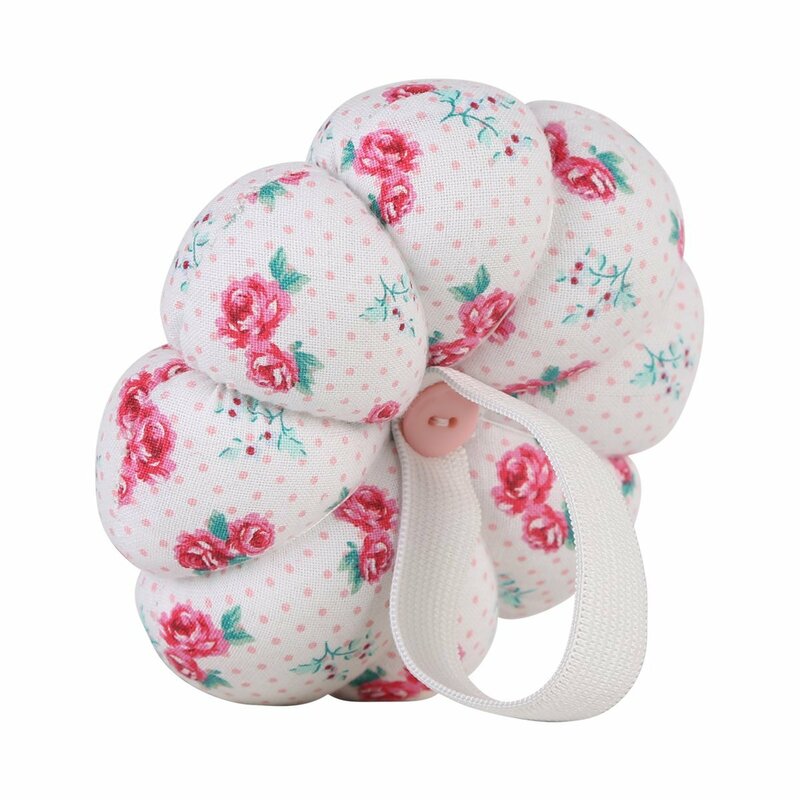 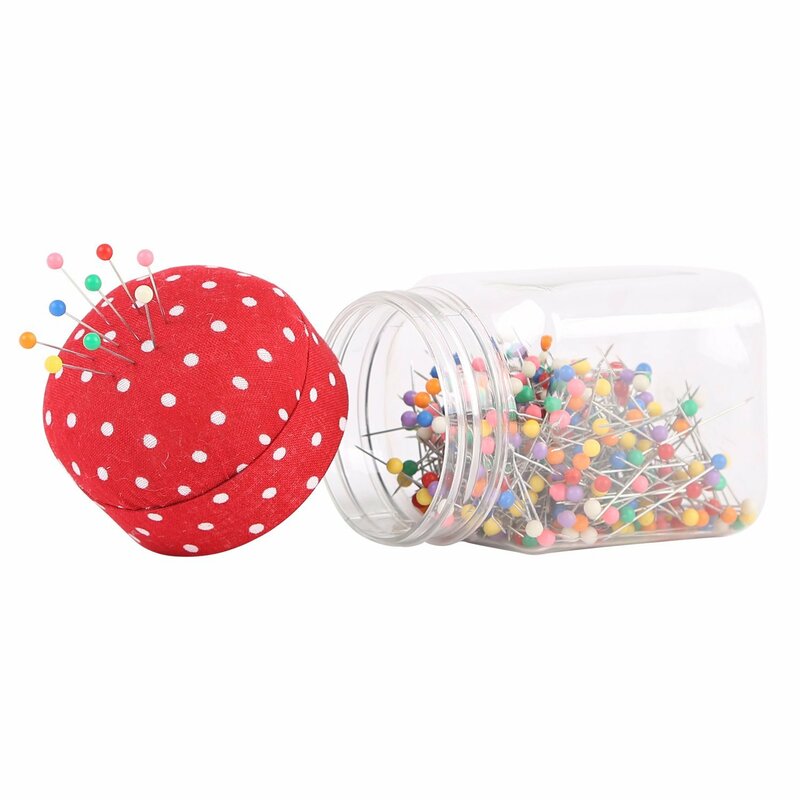 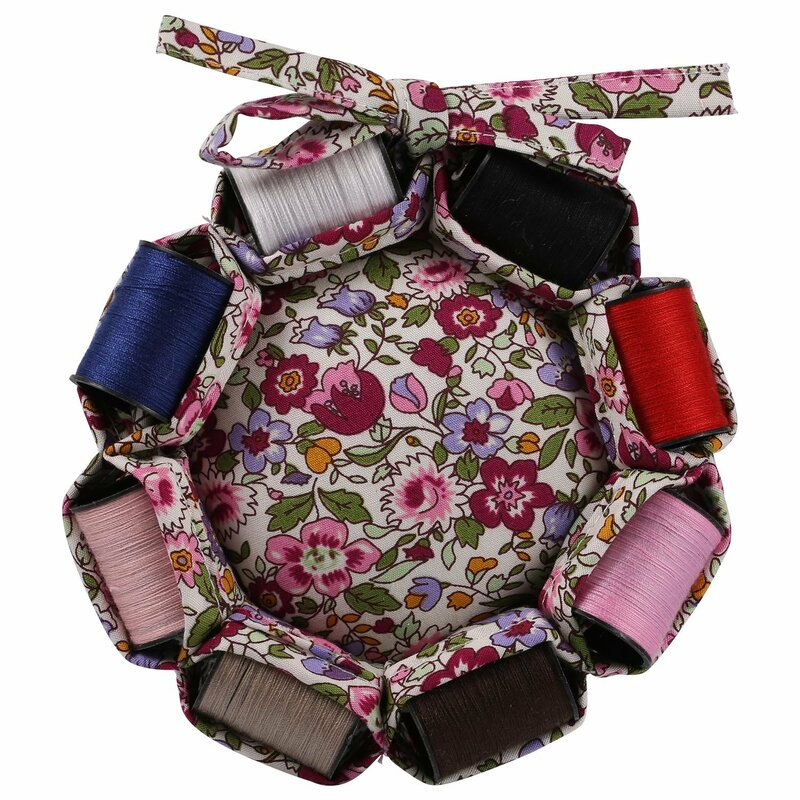 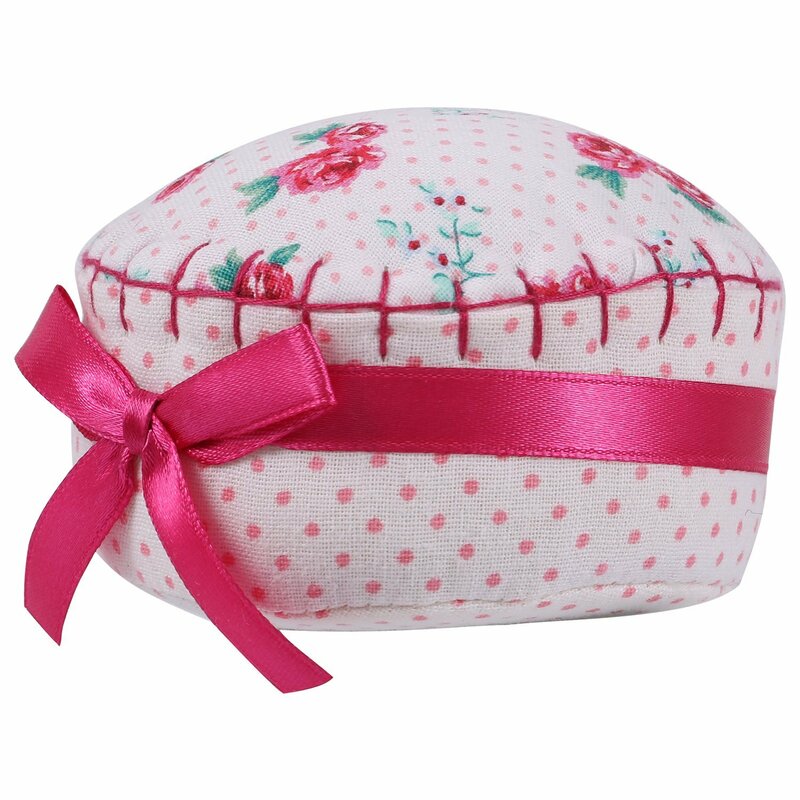 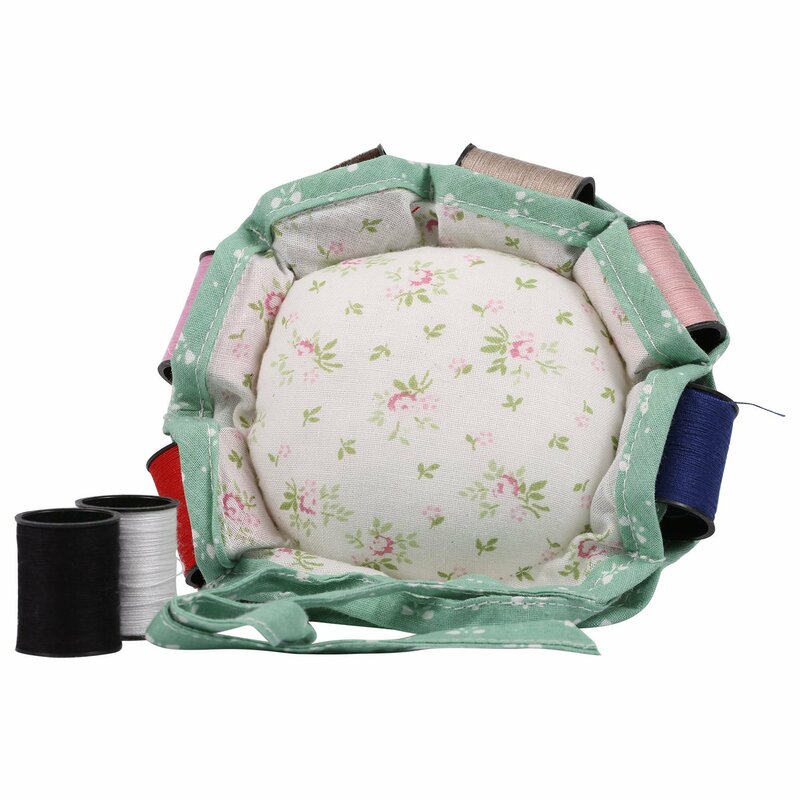 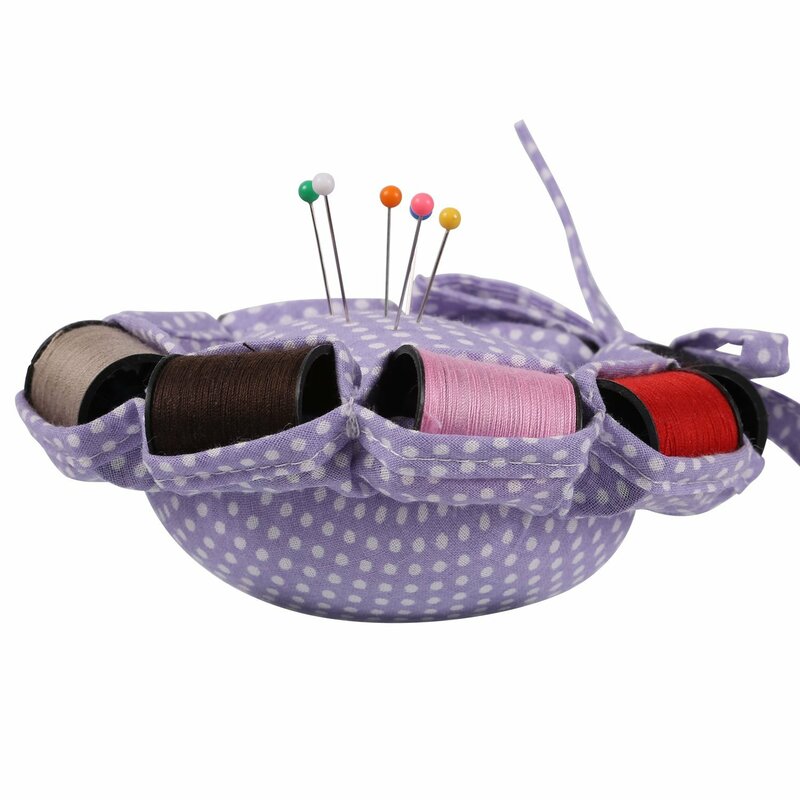 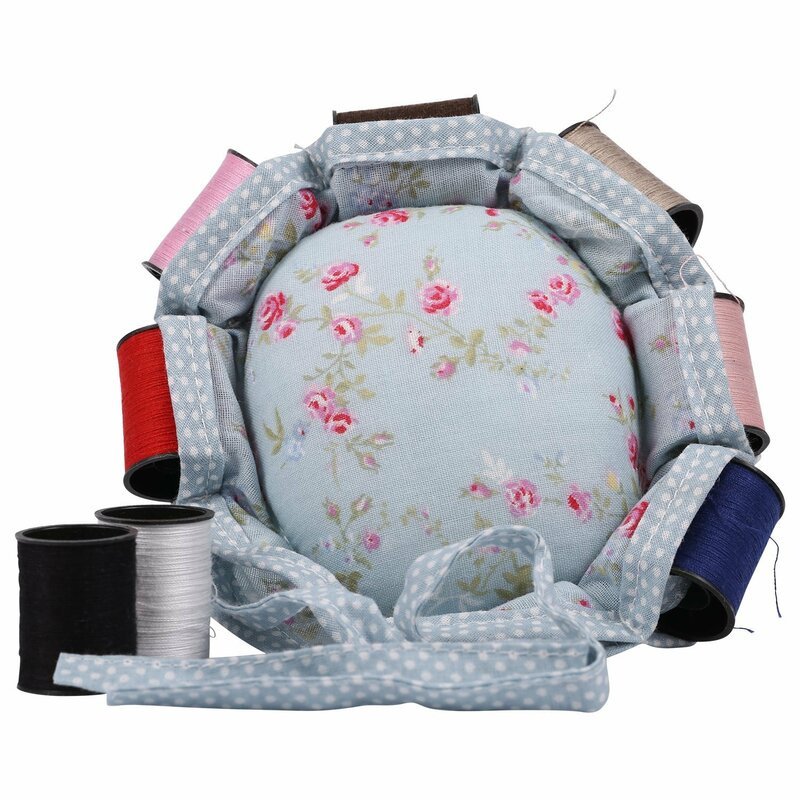 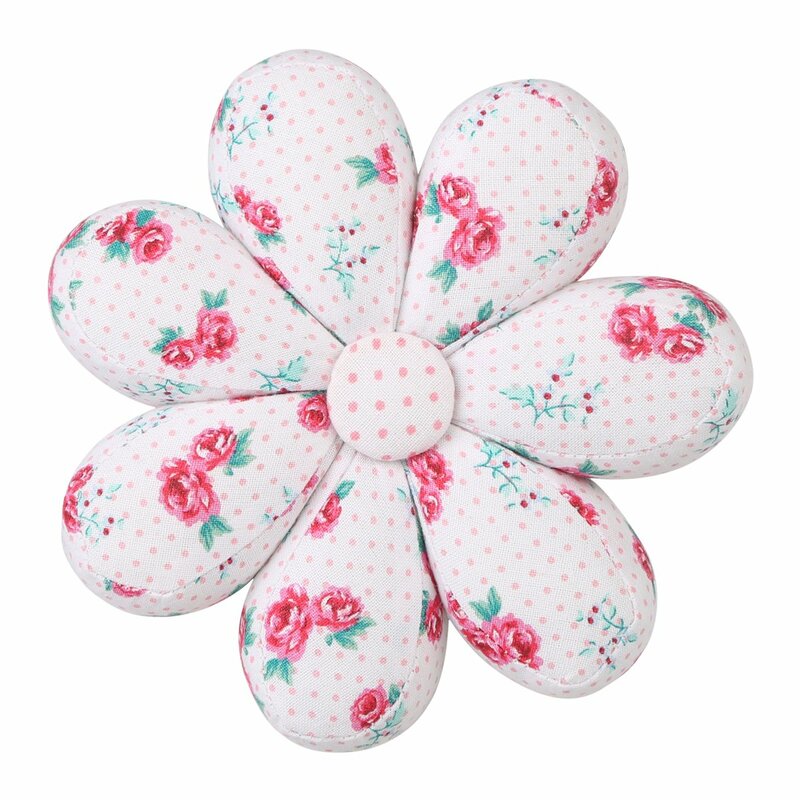 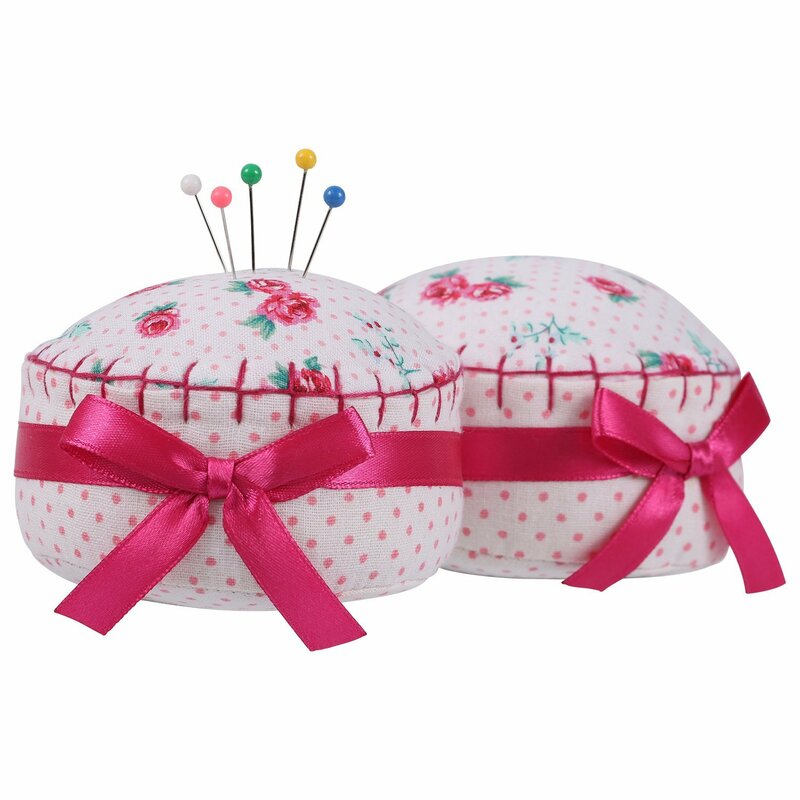 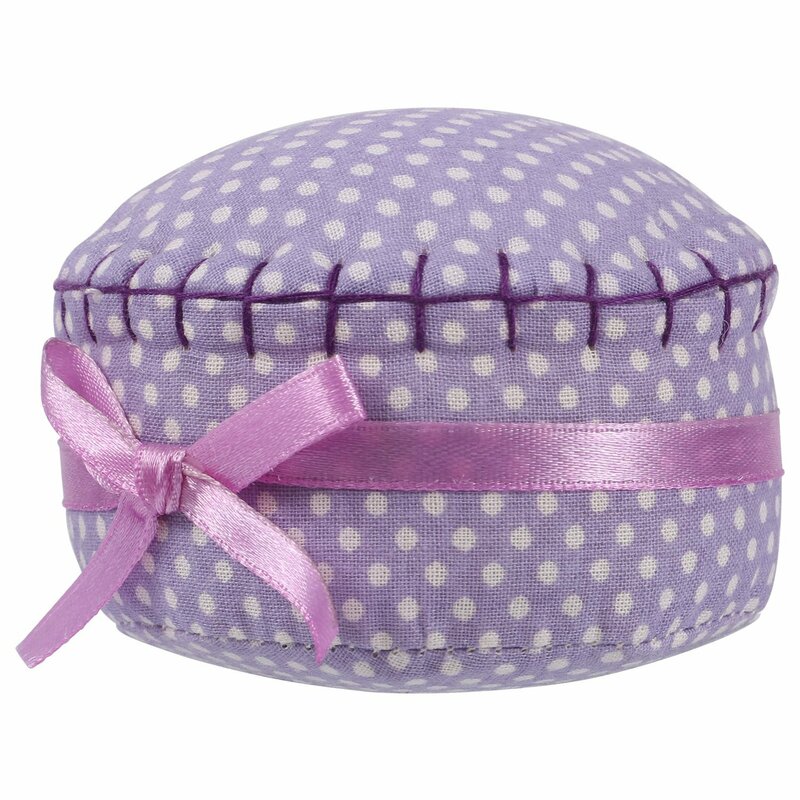 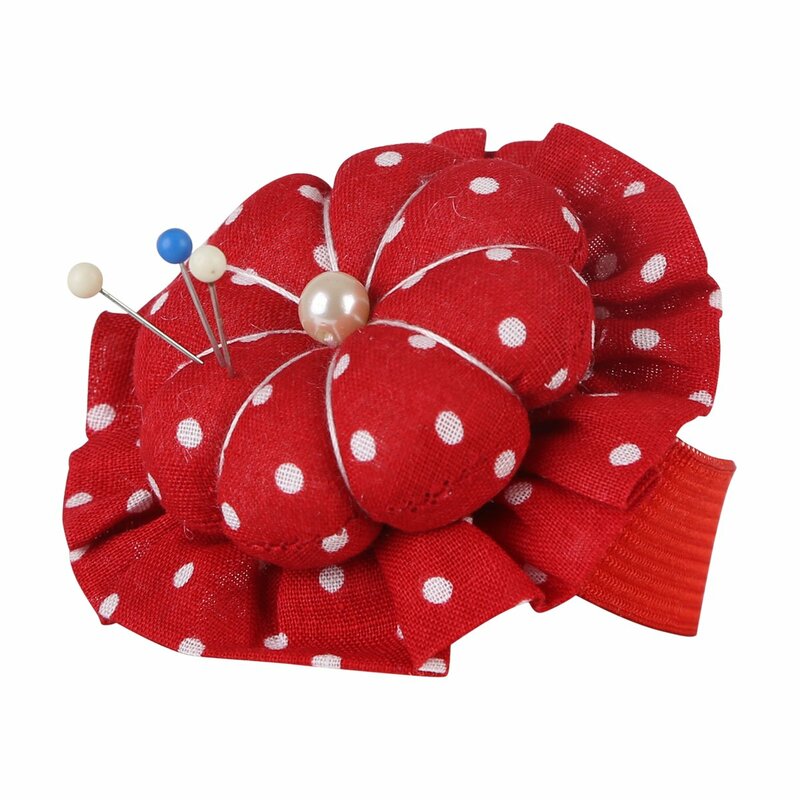 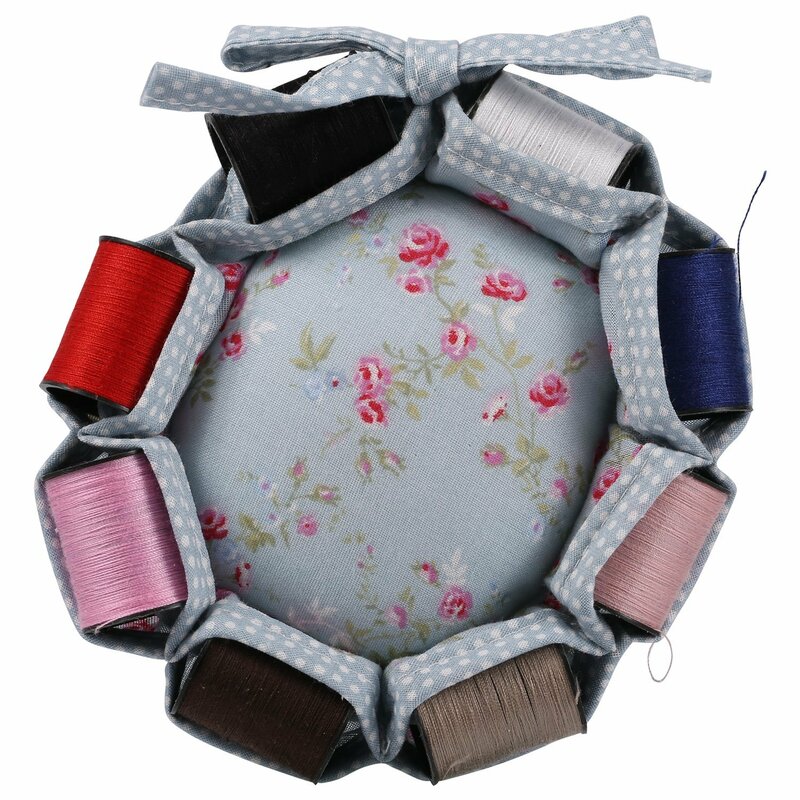 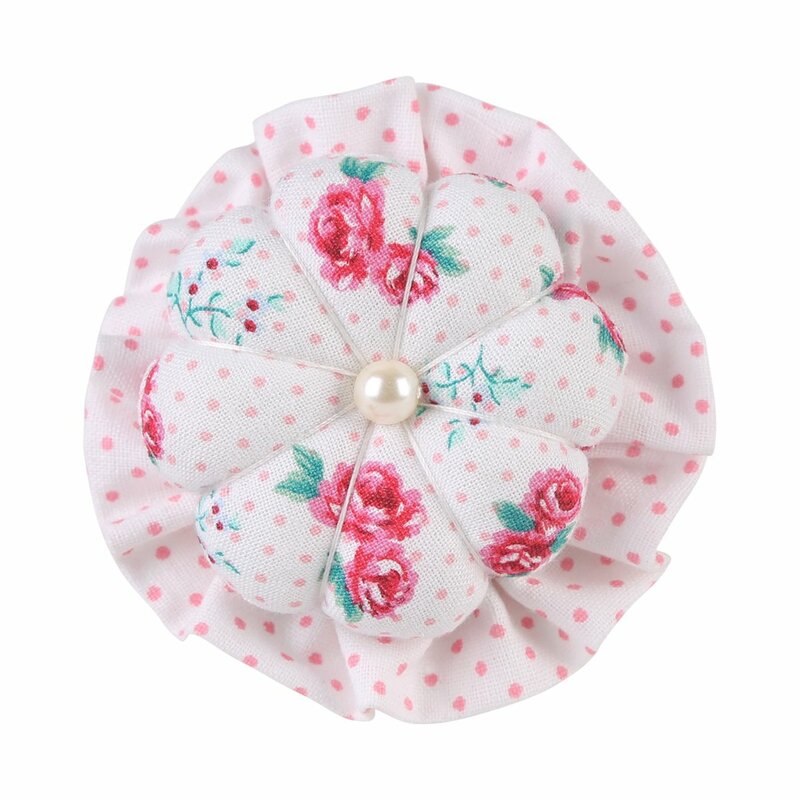 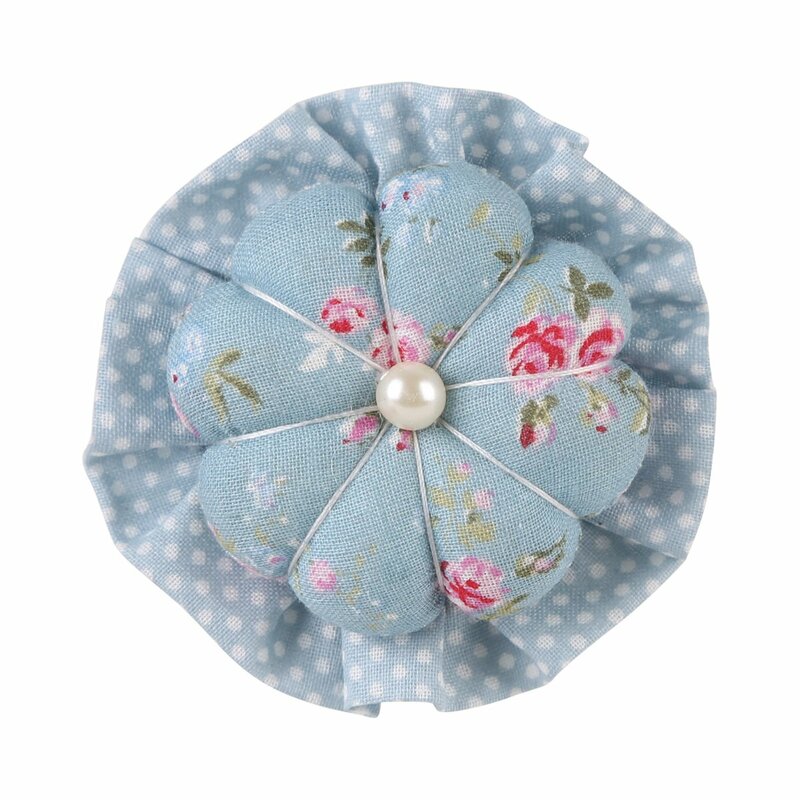 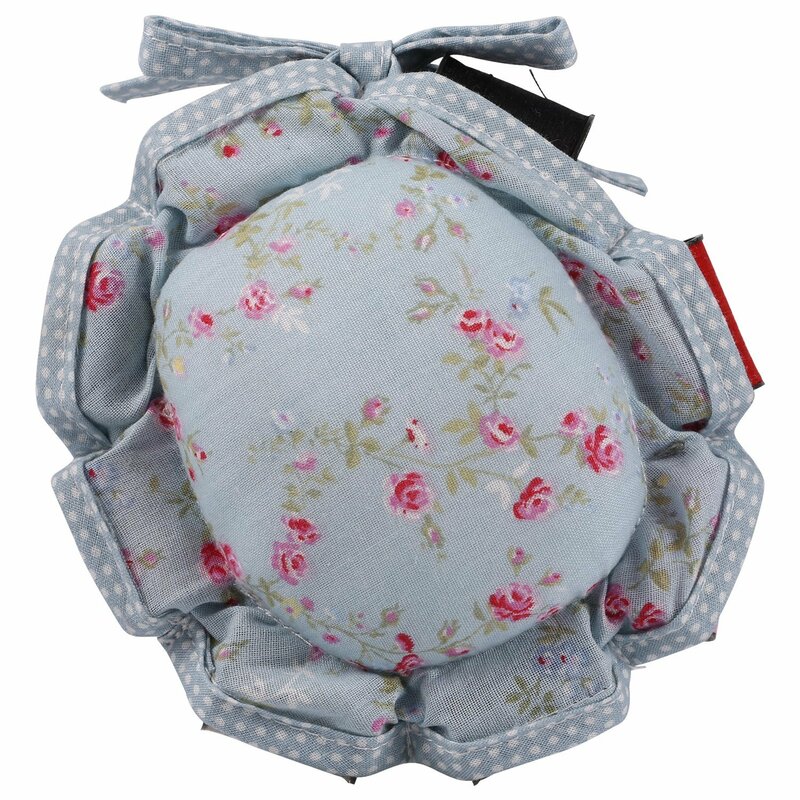 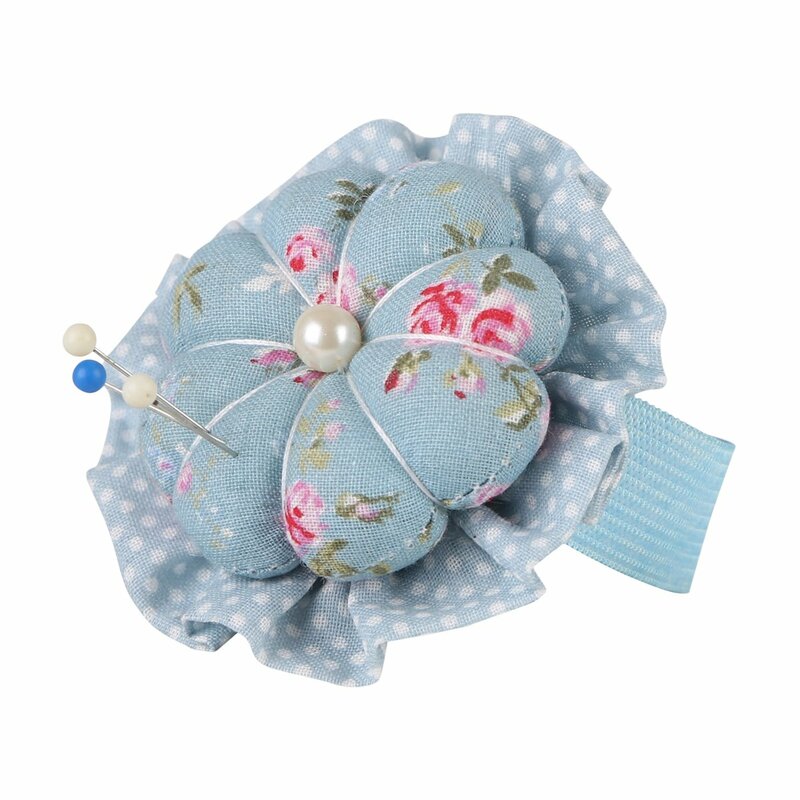 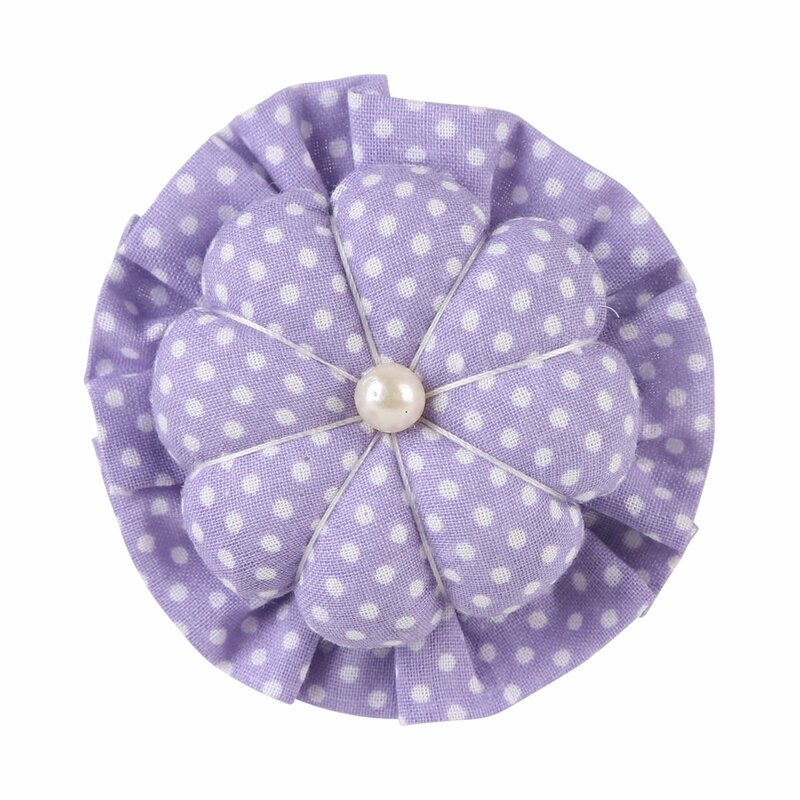 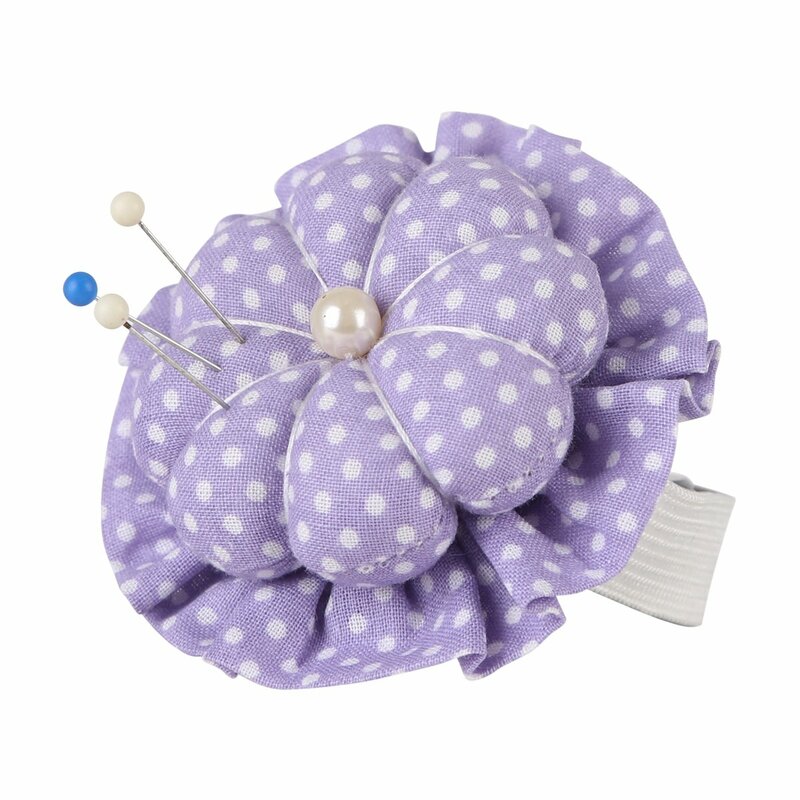 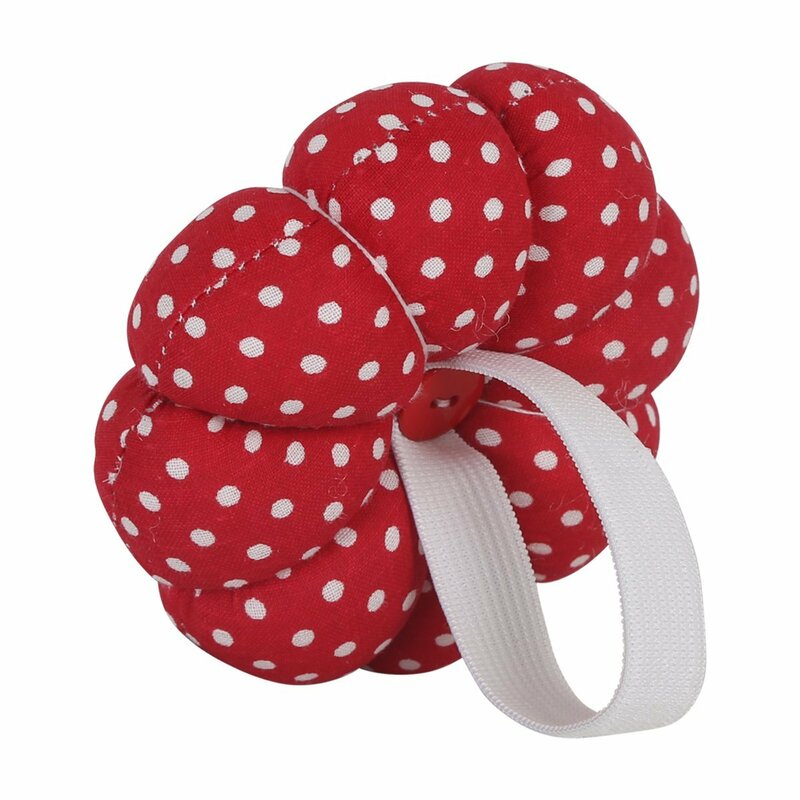 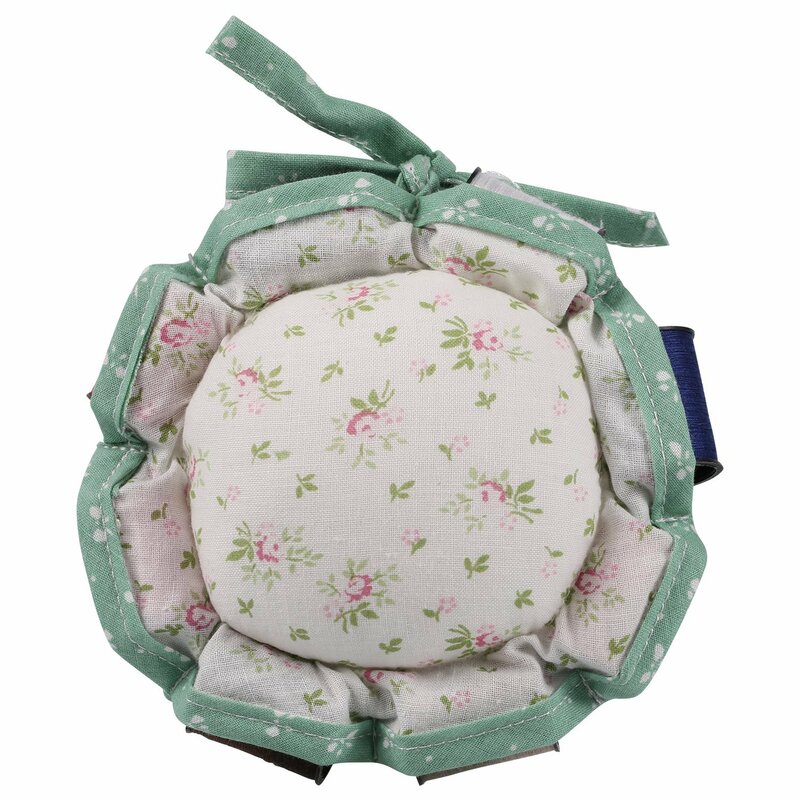 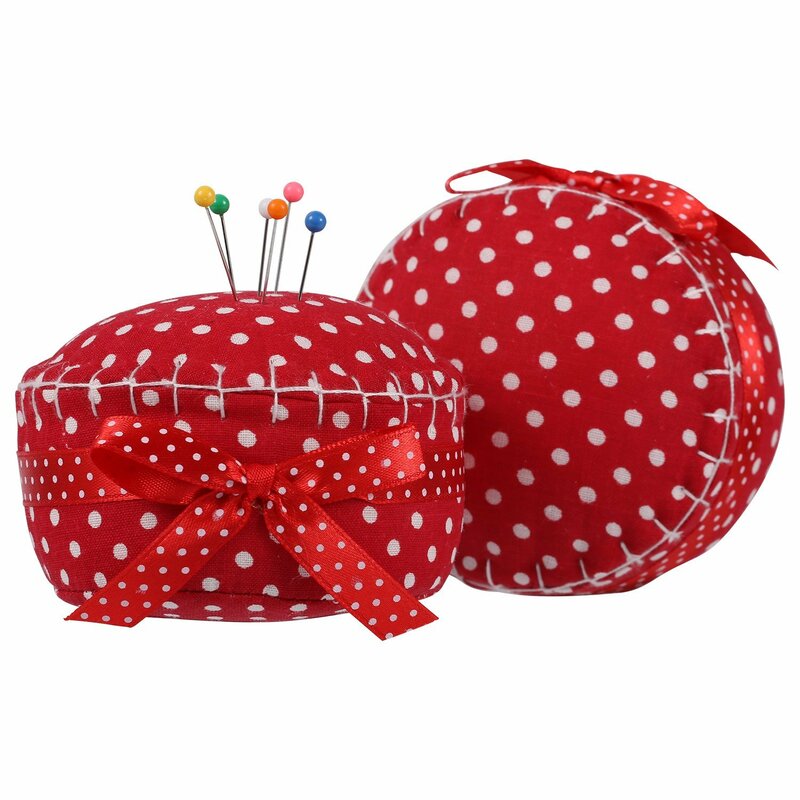 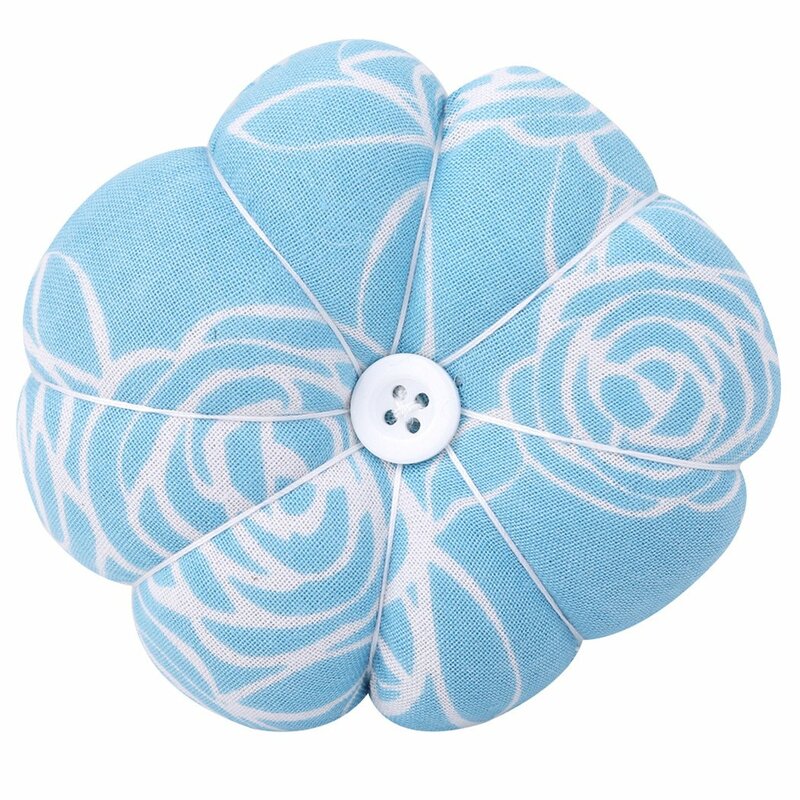 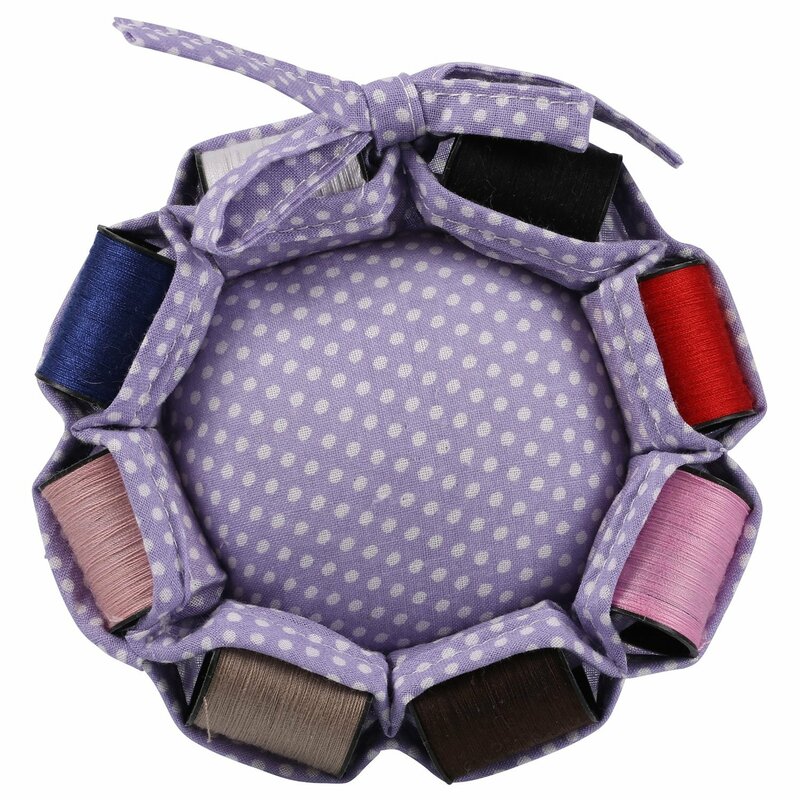 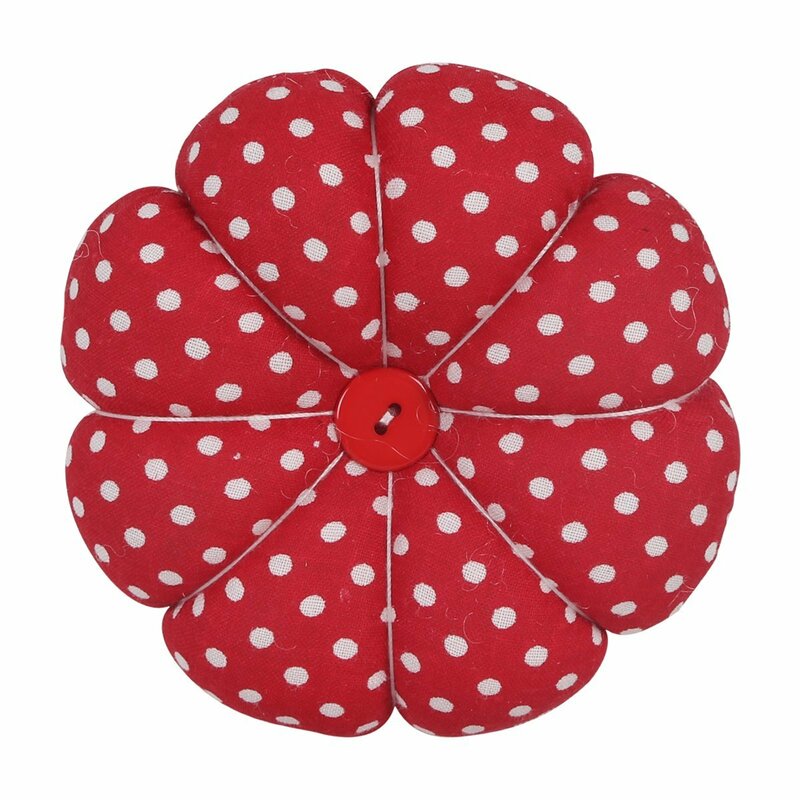 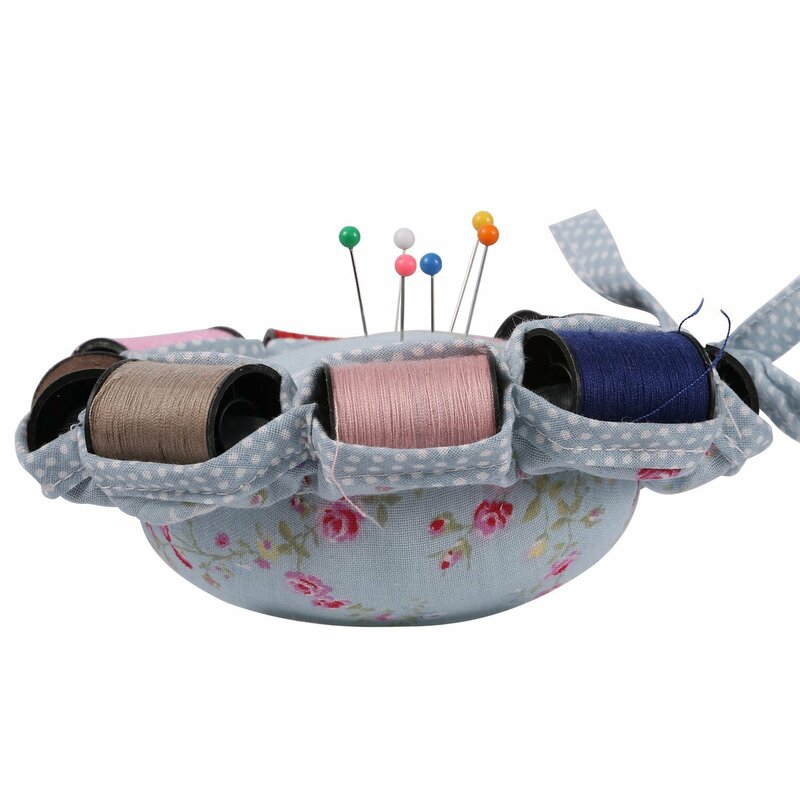 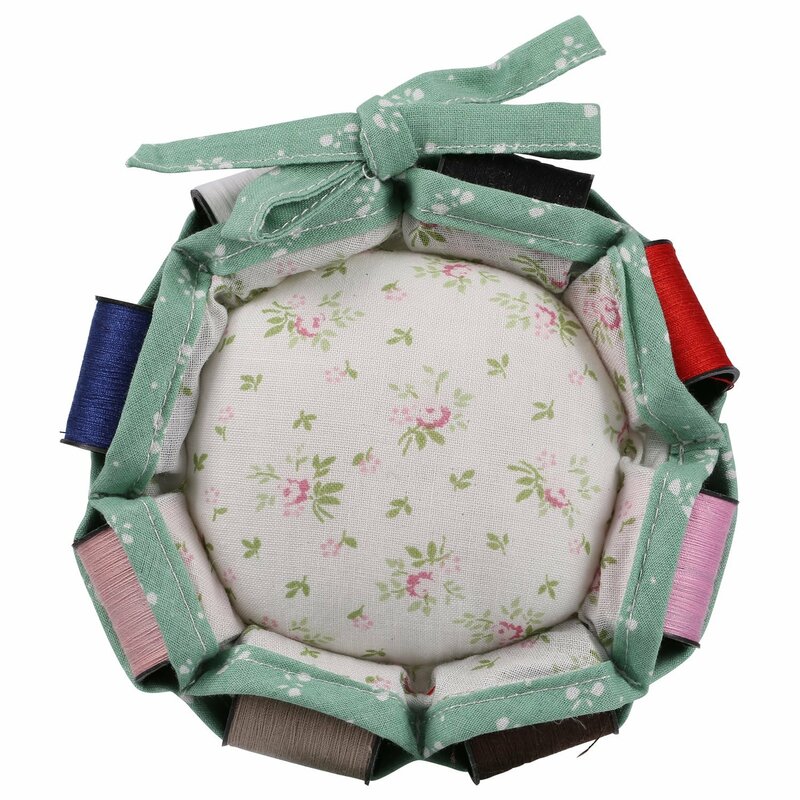 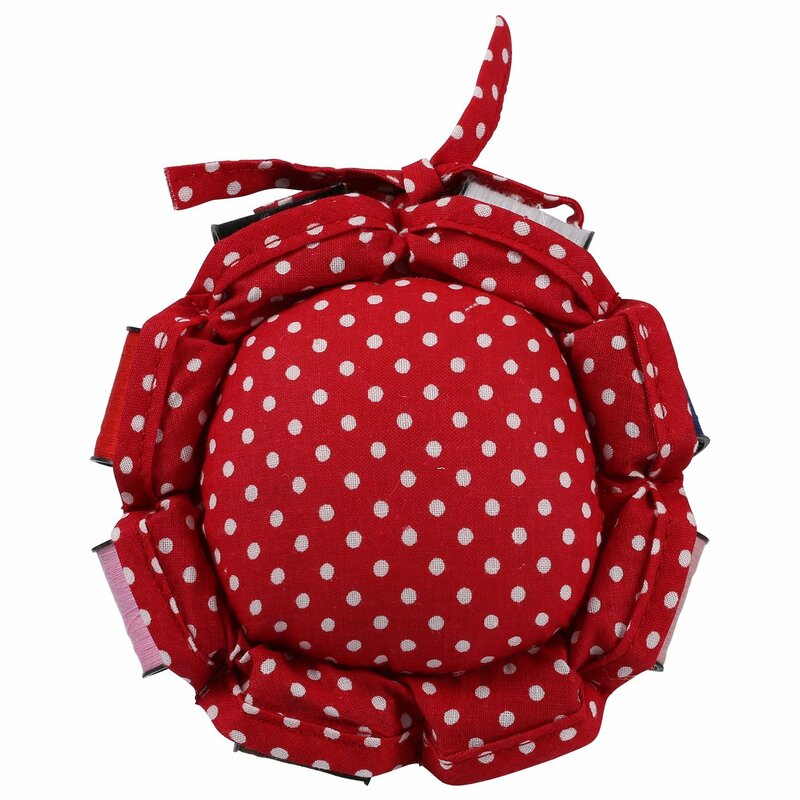 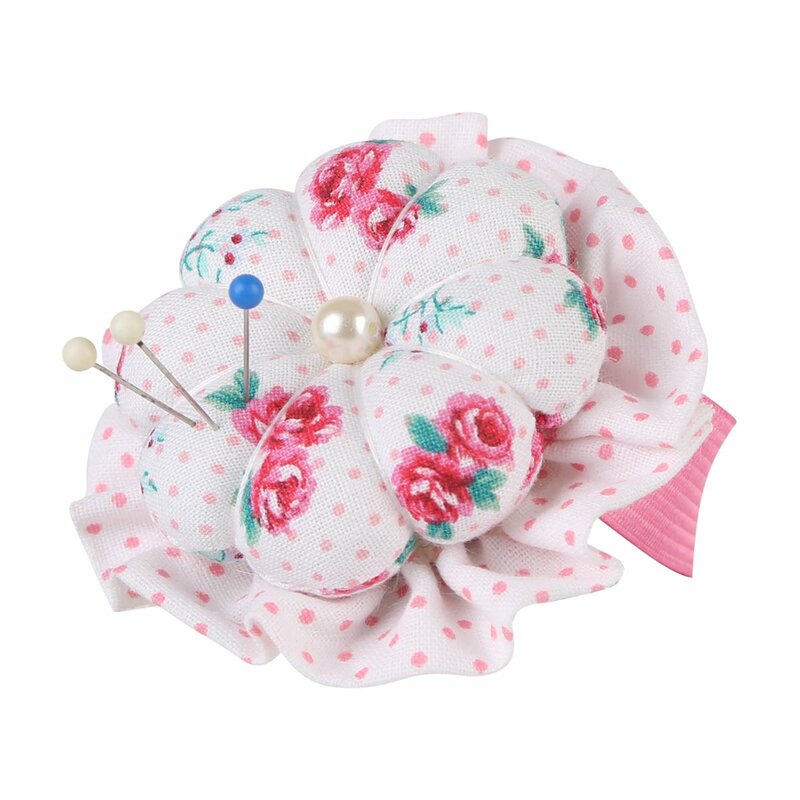 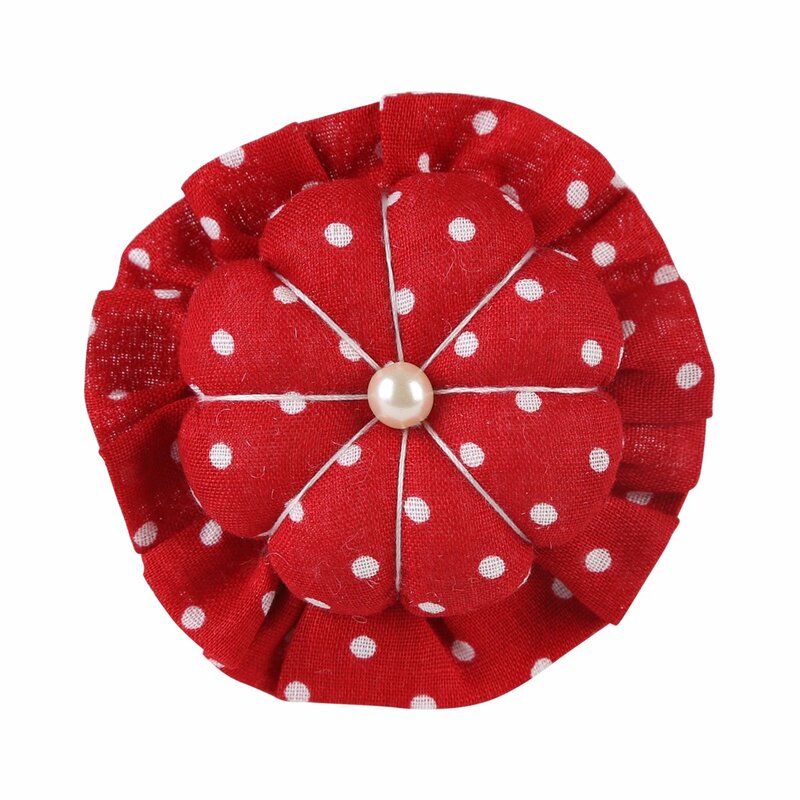 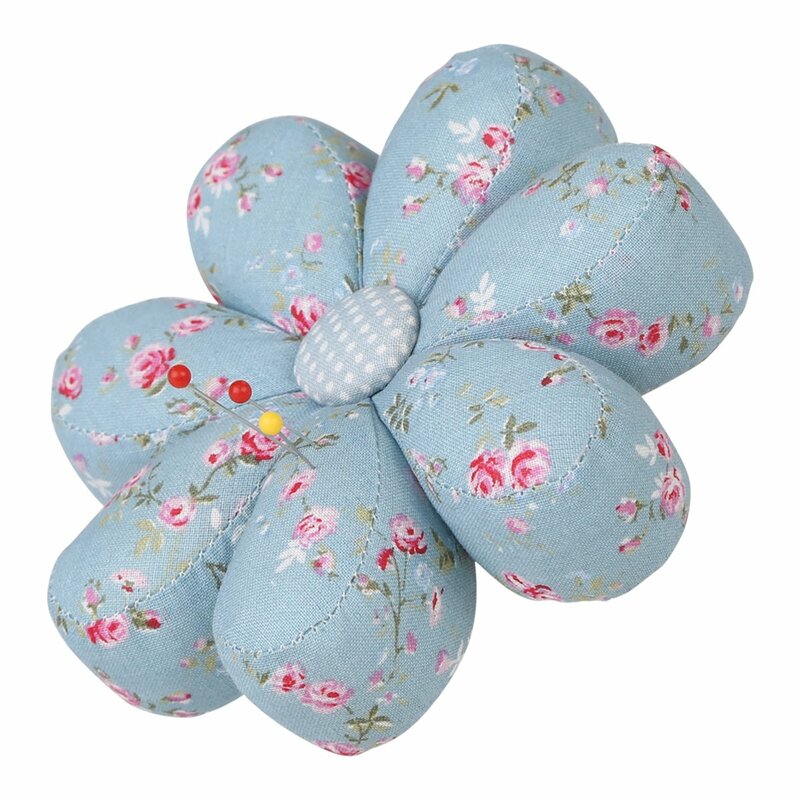 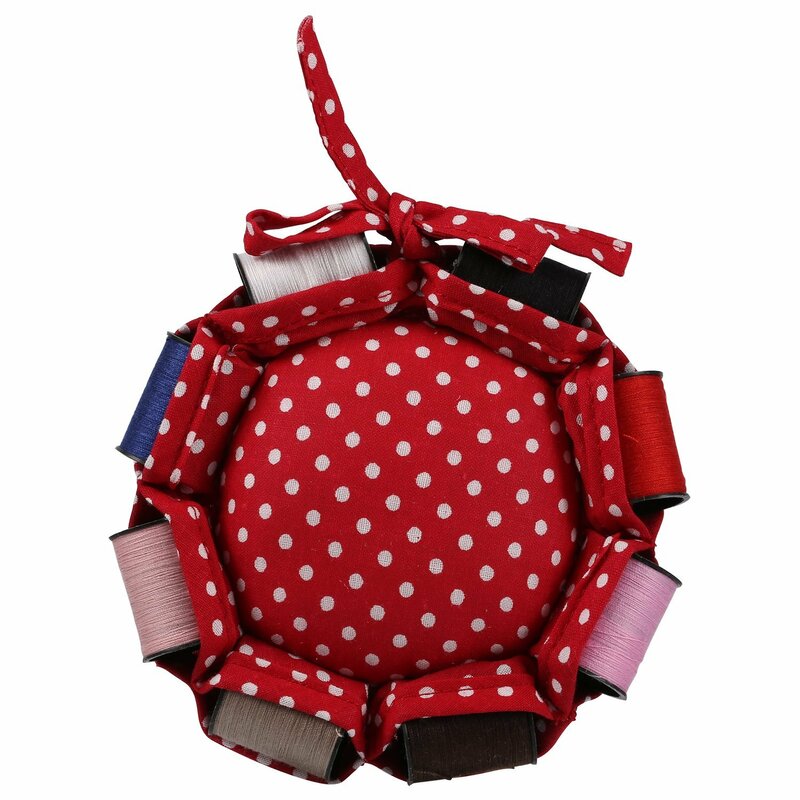 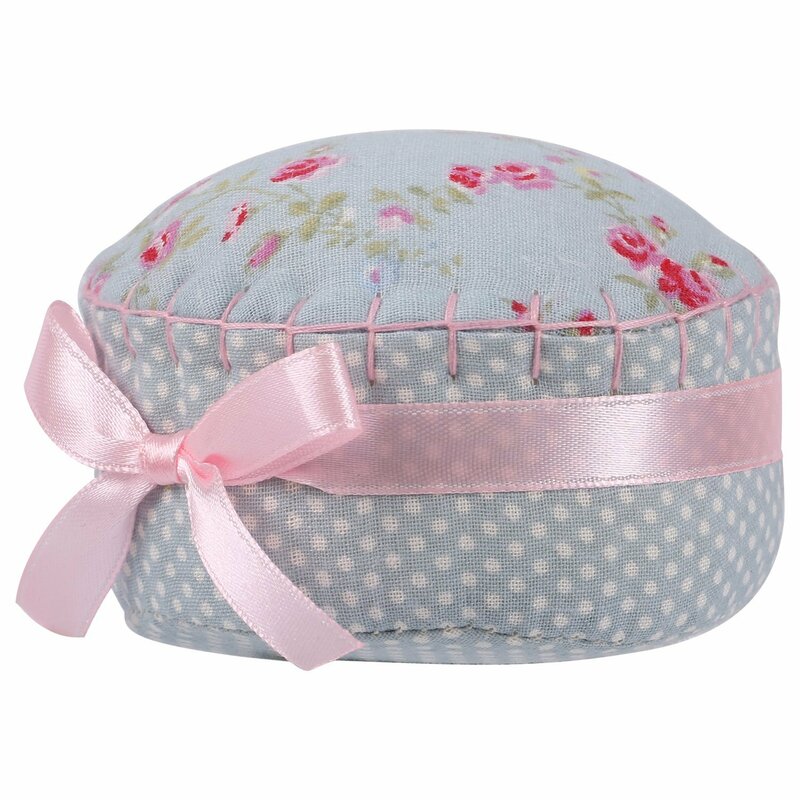 This lovely flower shaped Pin Cushion is ideal for storing short pins and needles, keeping them easily accessible during your needle work. 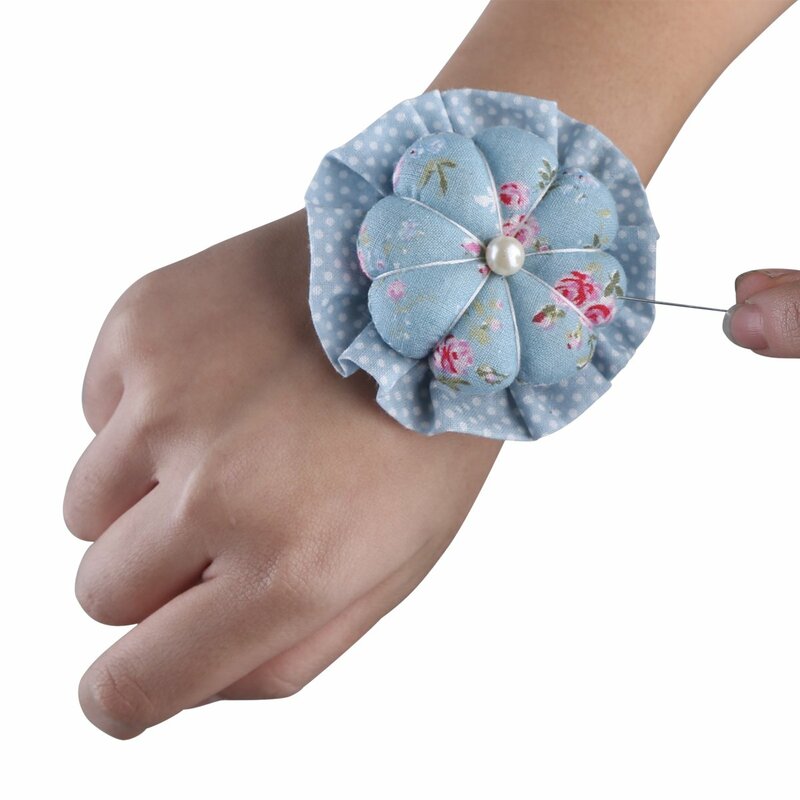 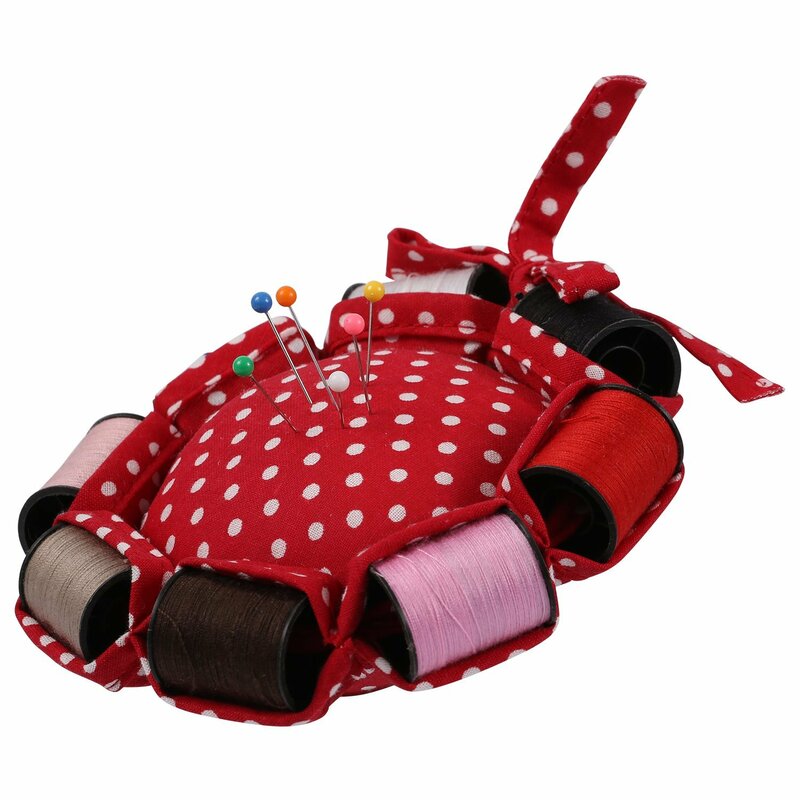 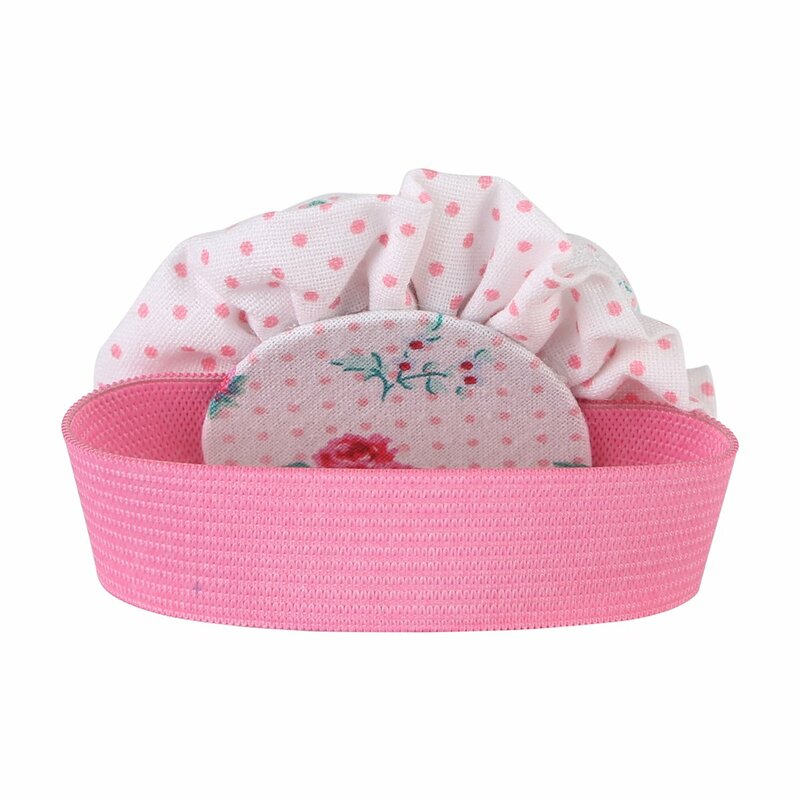 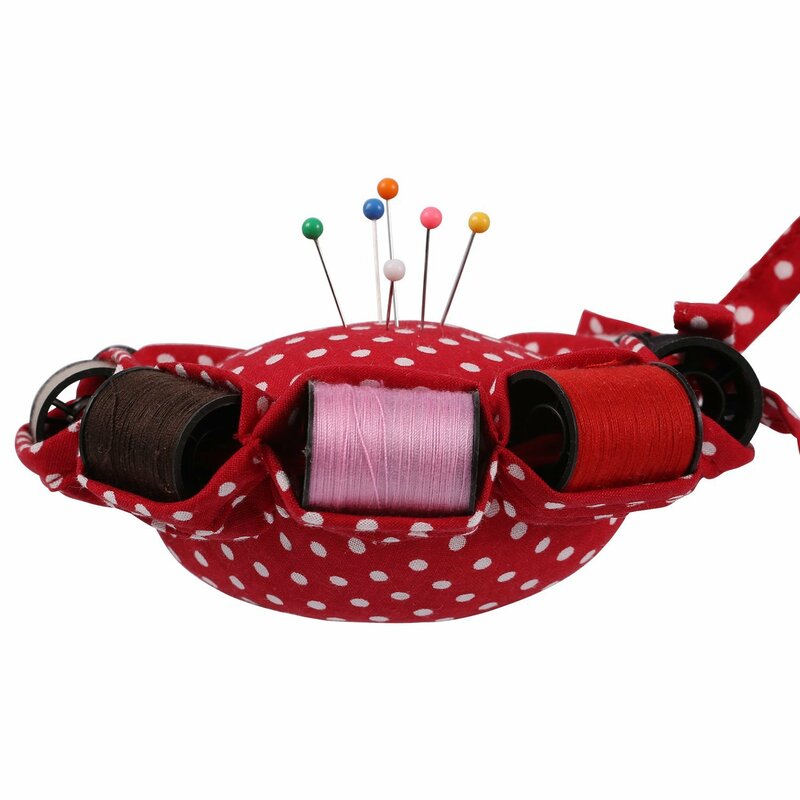 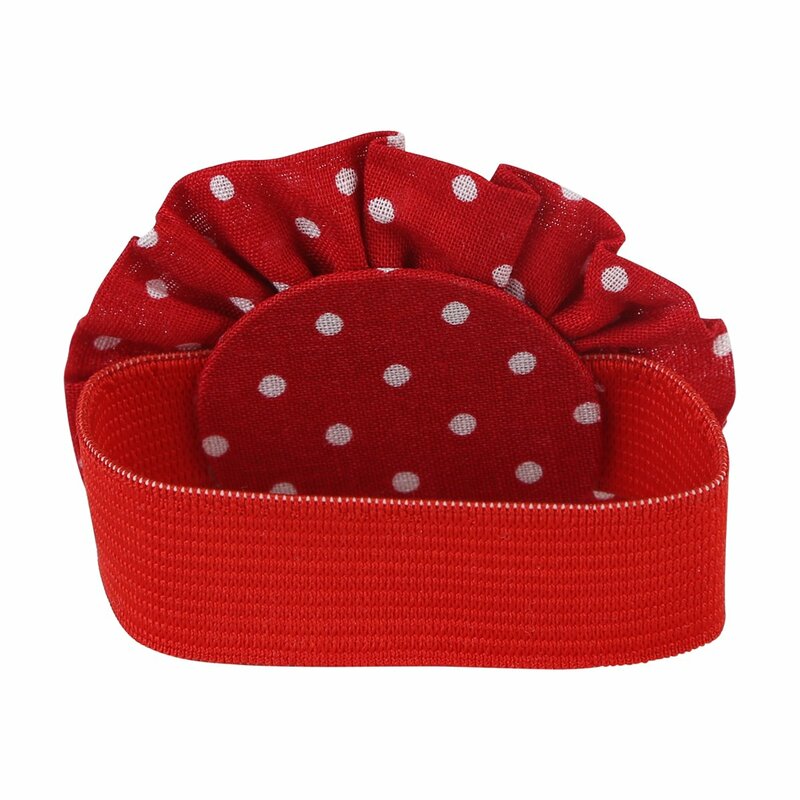 With Comfortable Wrist Band, it can free up your hands whilst sewing. 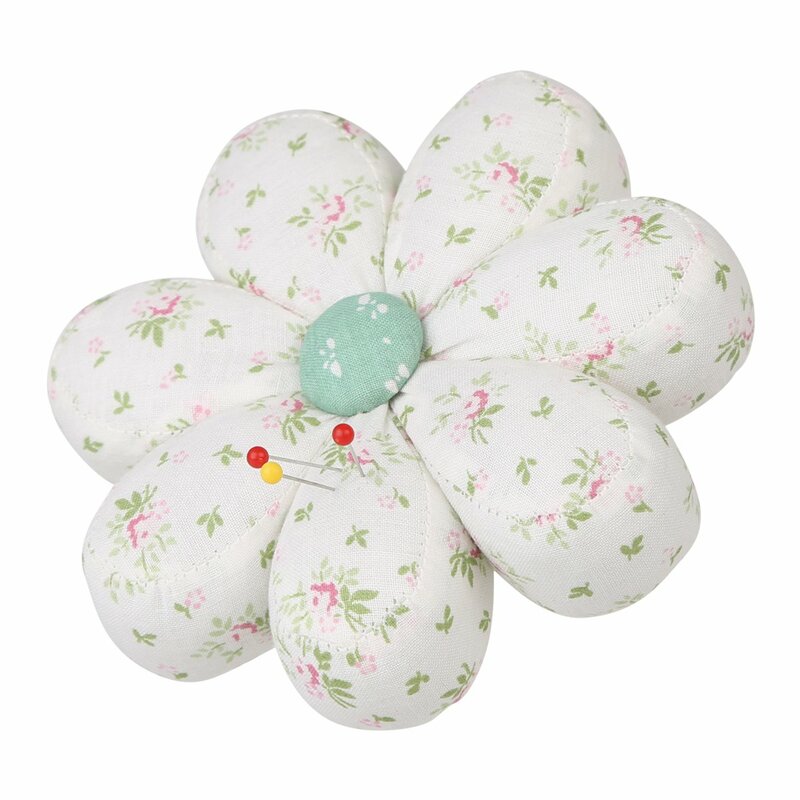 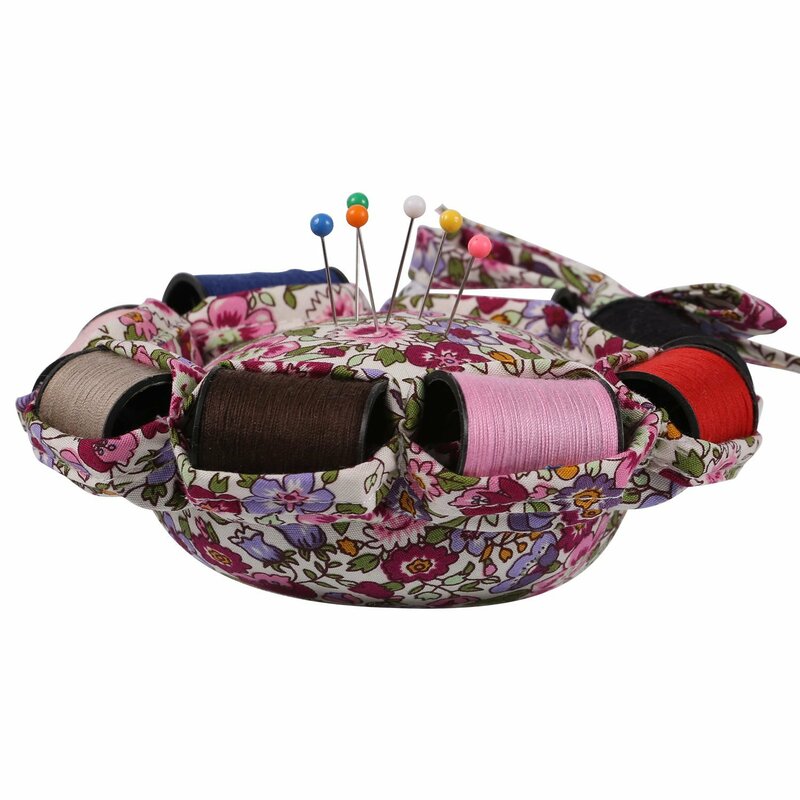 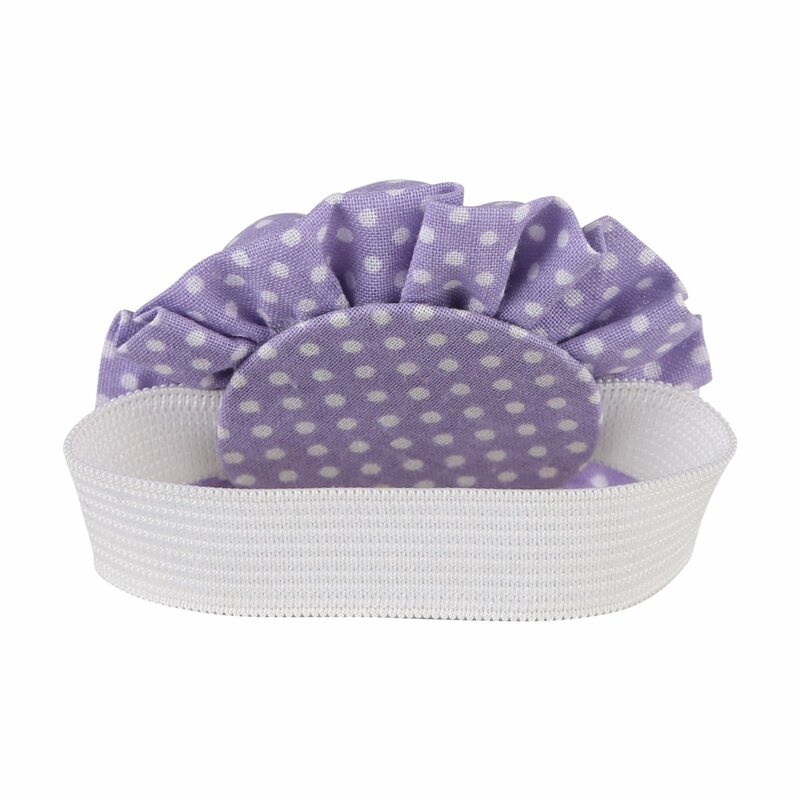 With Fully Padding inside Floral Fabric Coating, it can fixed the needles and pins perfectly. 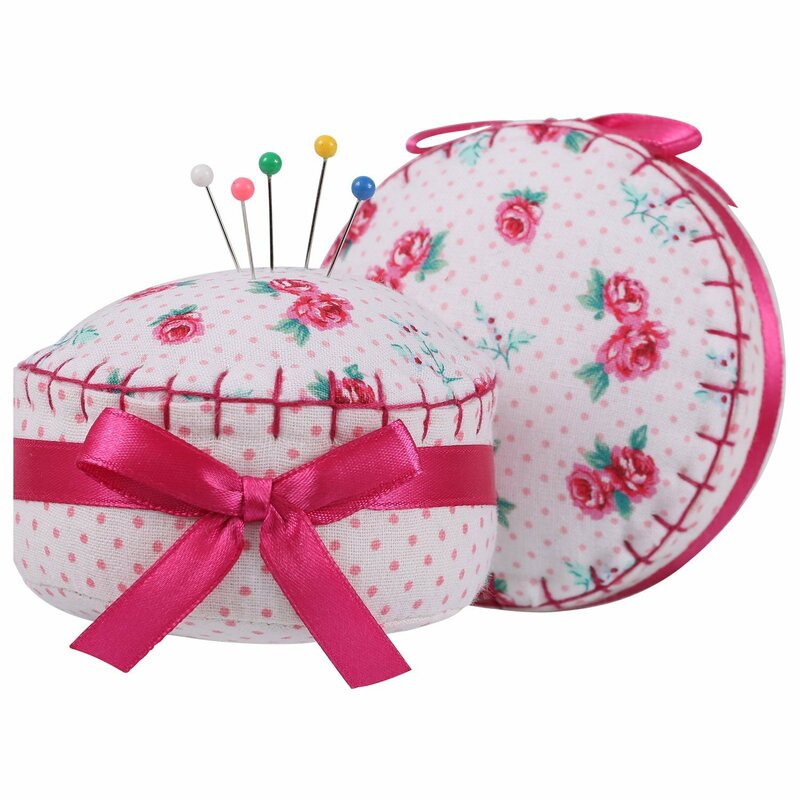 Notice: It is not so good for the long pins or needles. 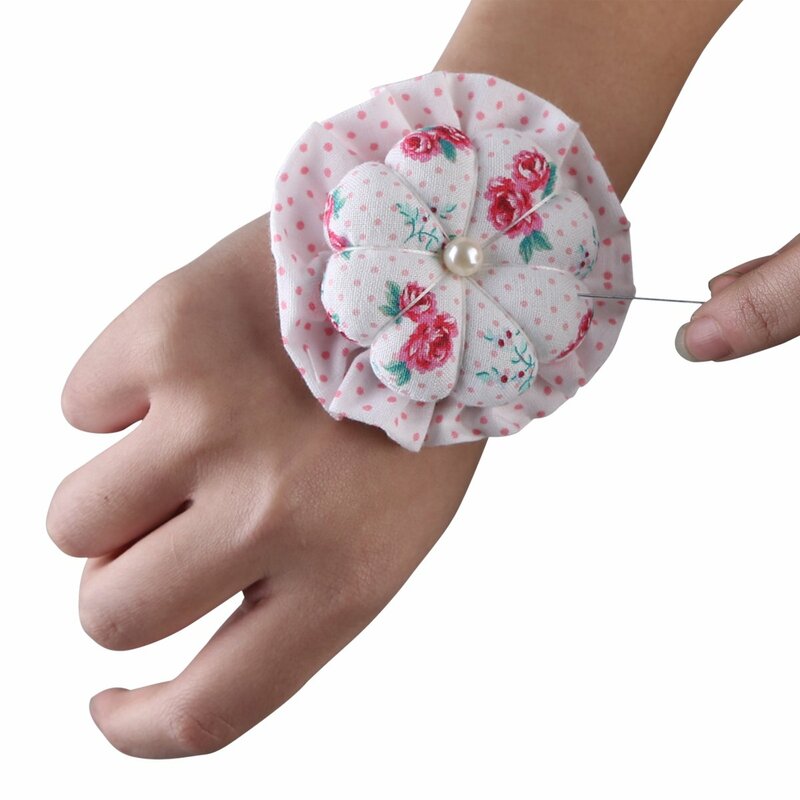 This does not come with an arm strap at all. 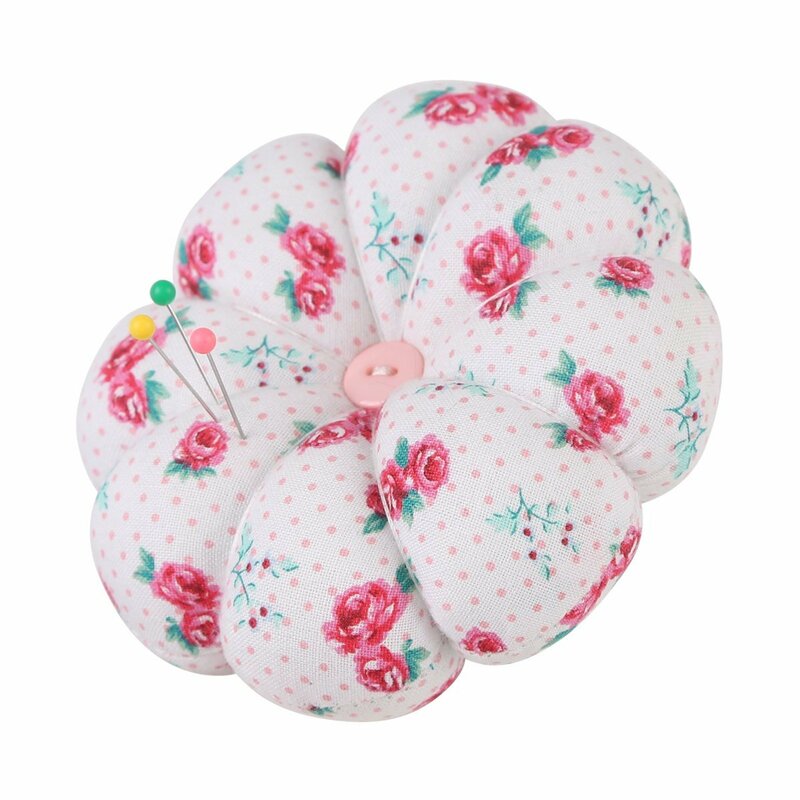 It's just a cheaply made fluffy flower. 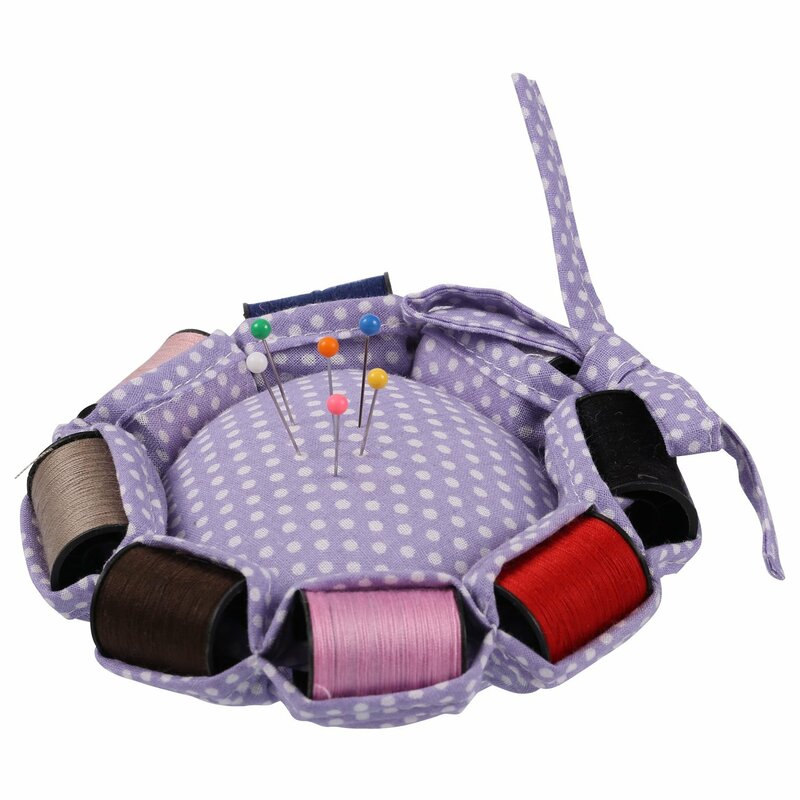 Mine also does not have a button in the center as pictured. 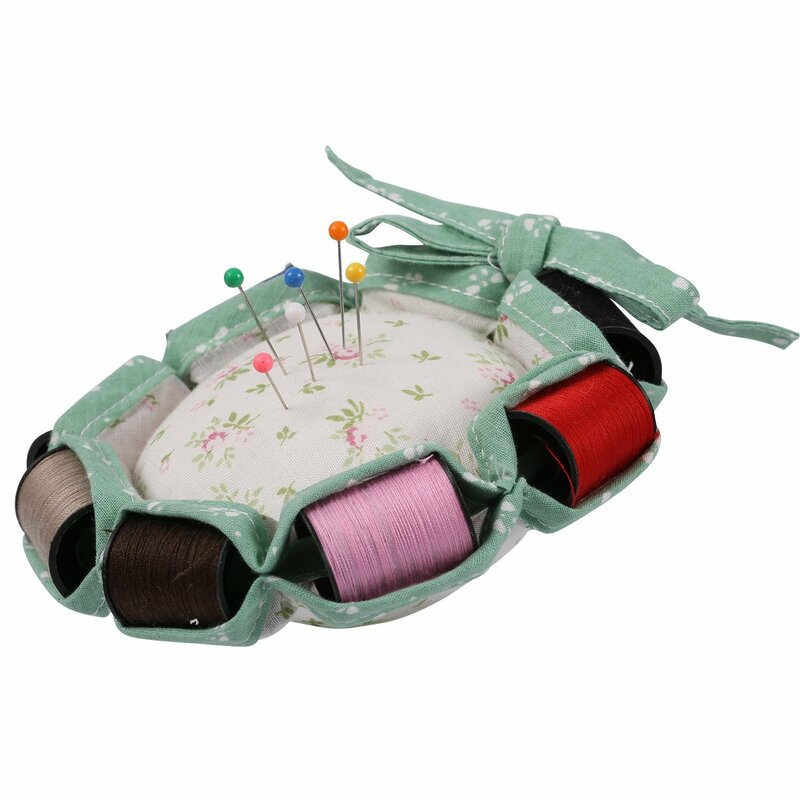 Not what I wanted and not really very functional since pins go all the way through the cushion. 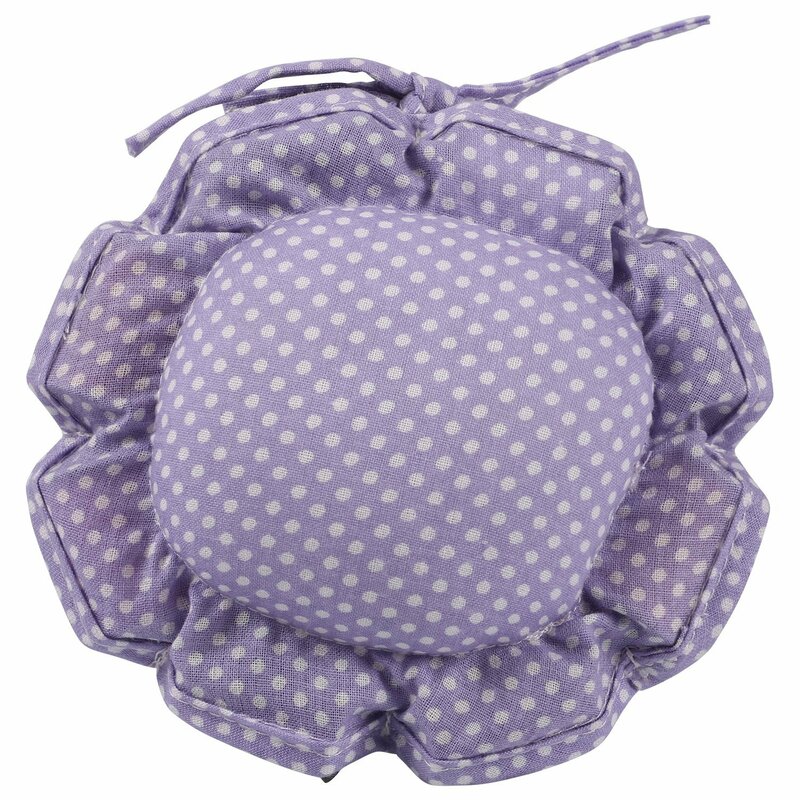 Really disappointing and I suspect the previous positive reviews are fakes. 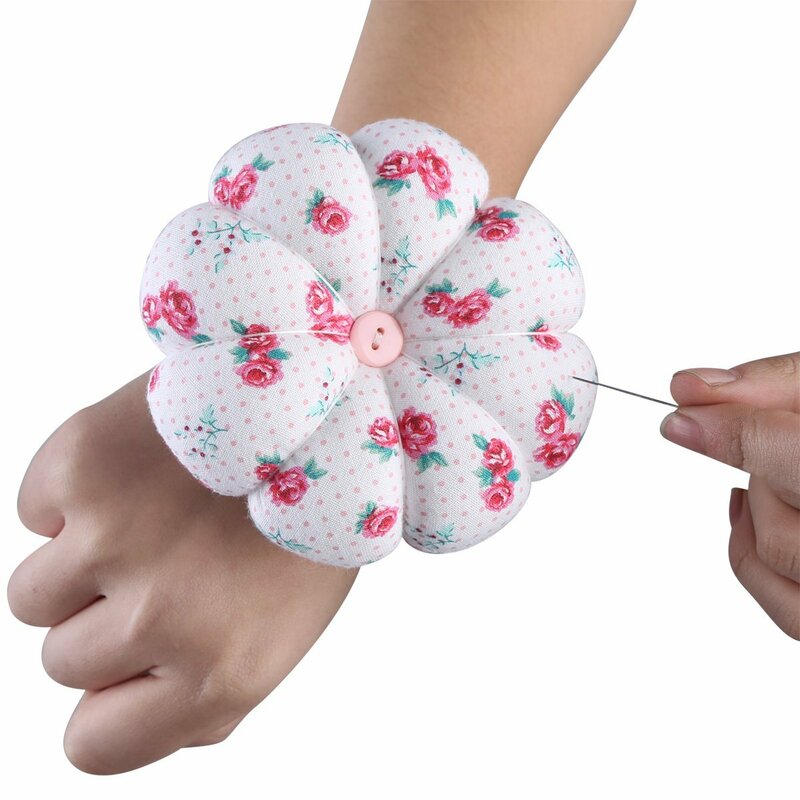 I spent $12 on a product that came disfigured. 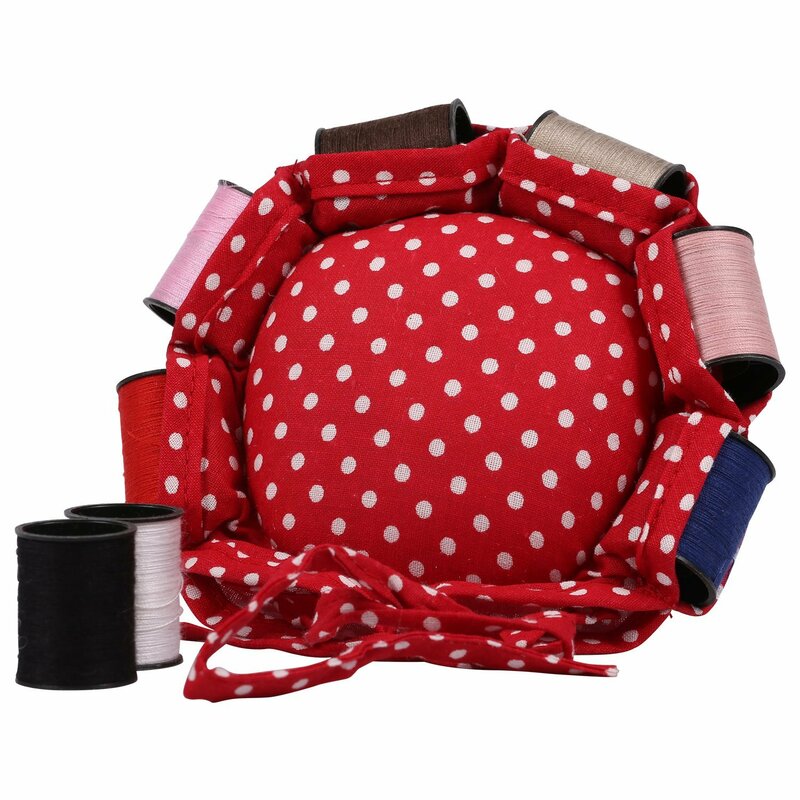 It all twisted , crooked , the cushion is uneven and portly done . 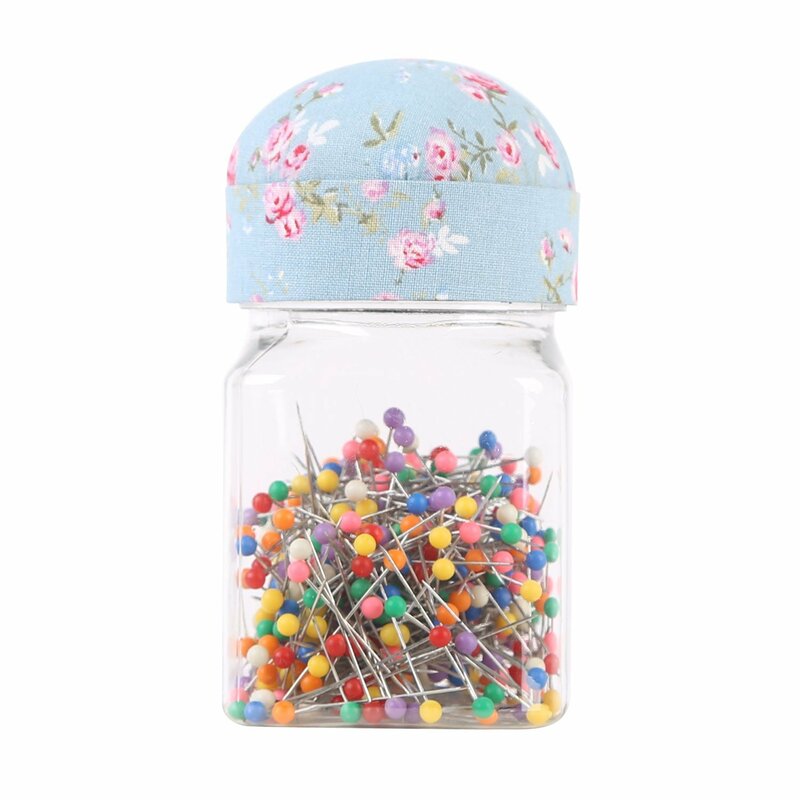 I was looking forward to this product . 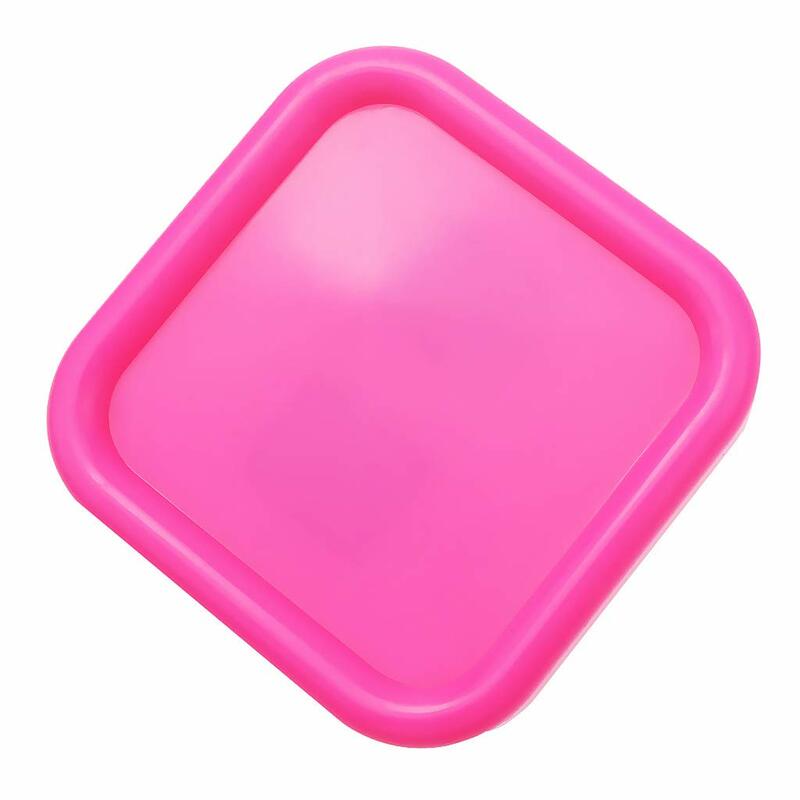 Itu2019s strong plastic so thereu2019s no way this was damaged while in commute . 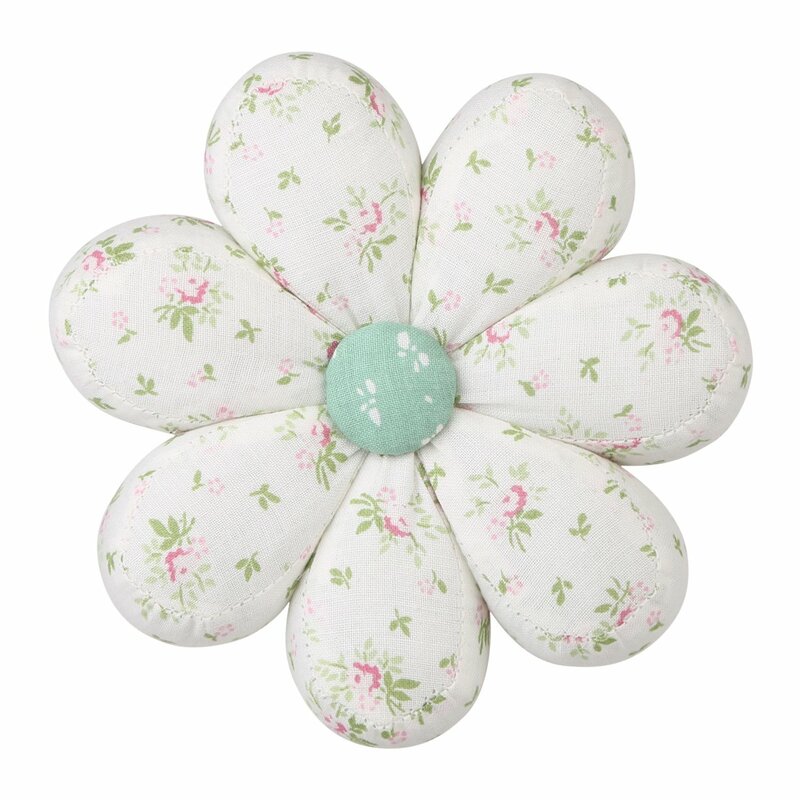 The cushion feels good though and semi sturdy . 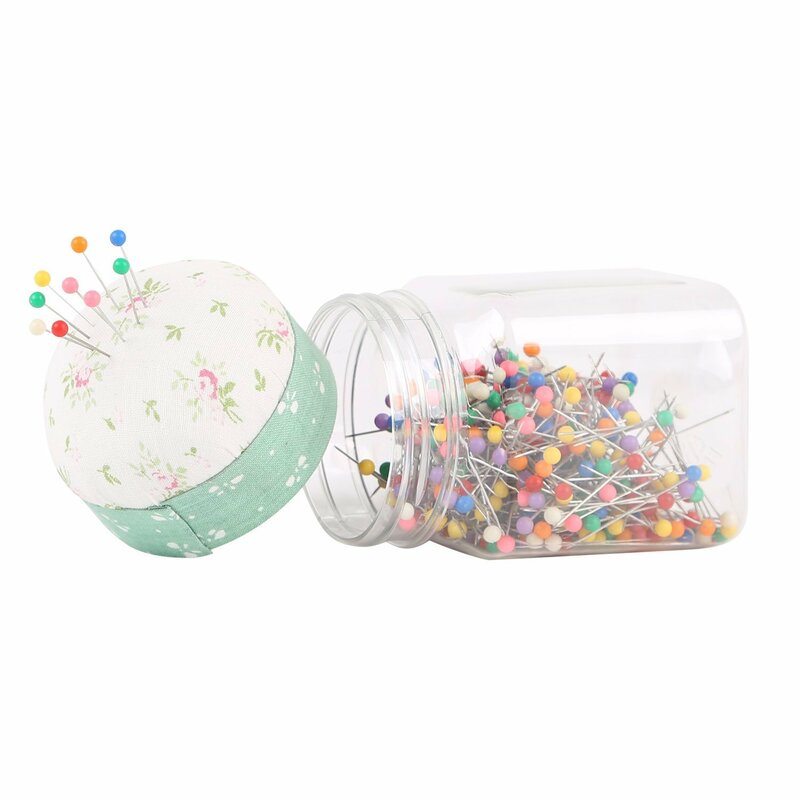 Overall disappointed . 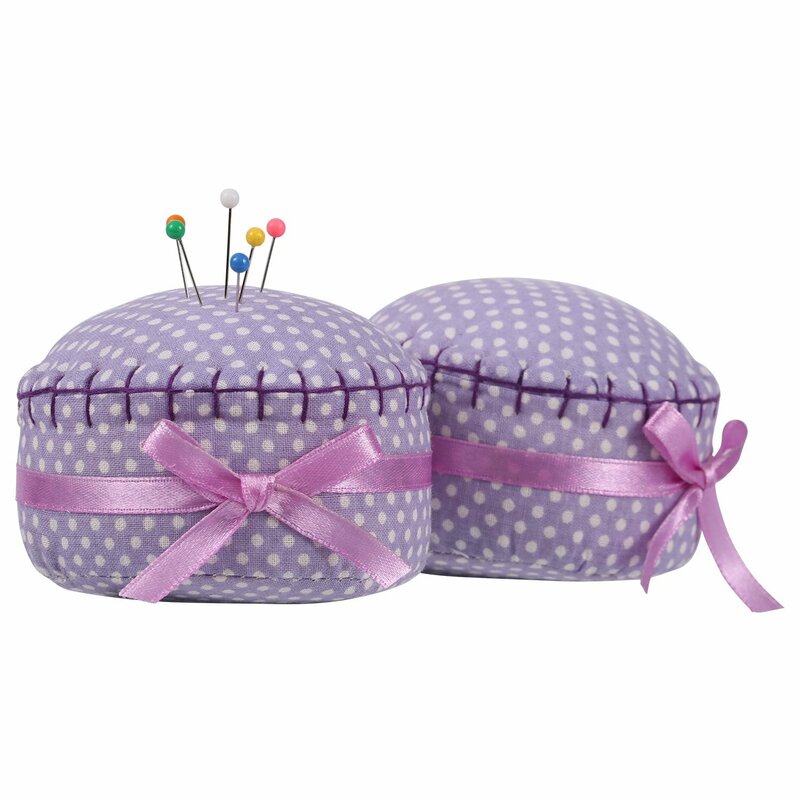 I would like a refund or two be sent another one in GOOD condition . 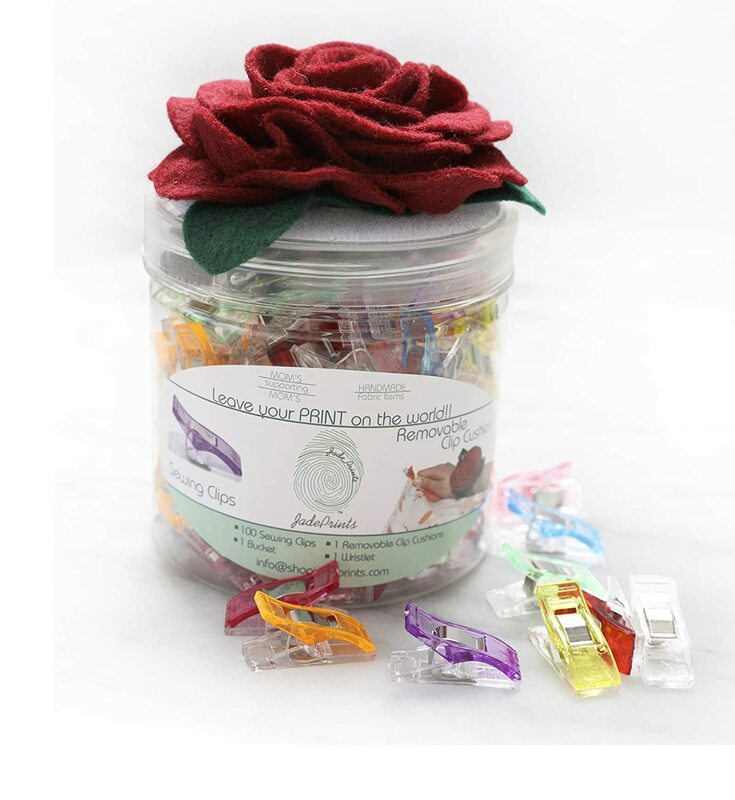 I mean nice just like the photos free of charge . 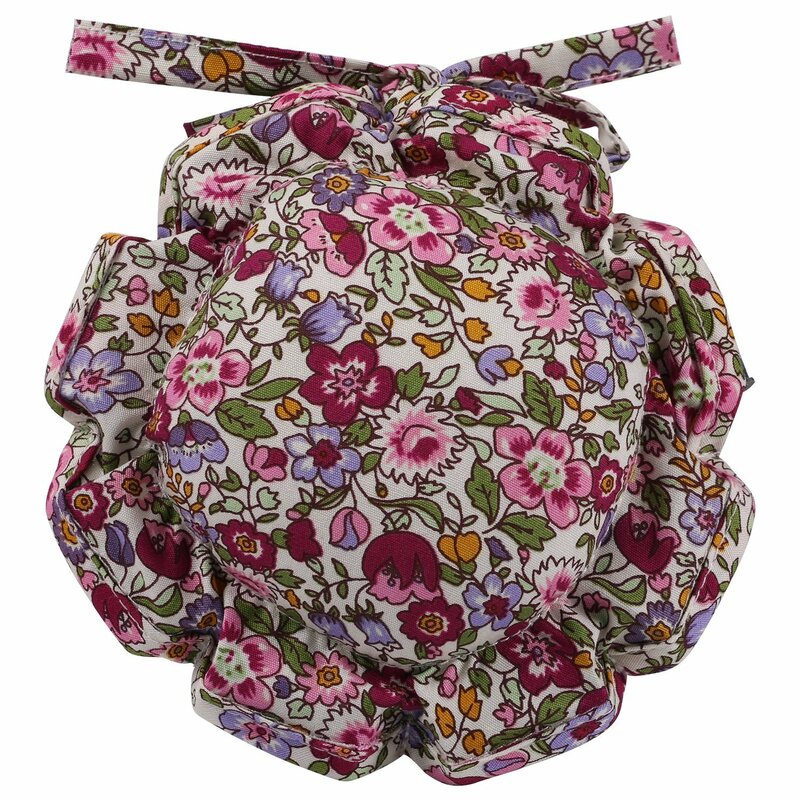 Cause what I received was ridiculous ! 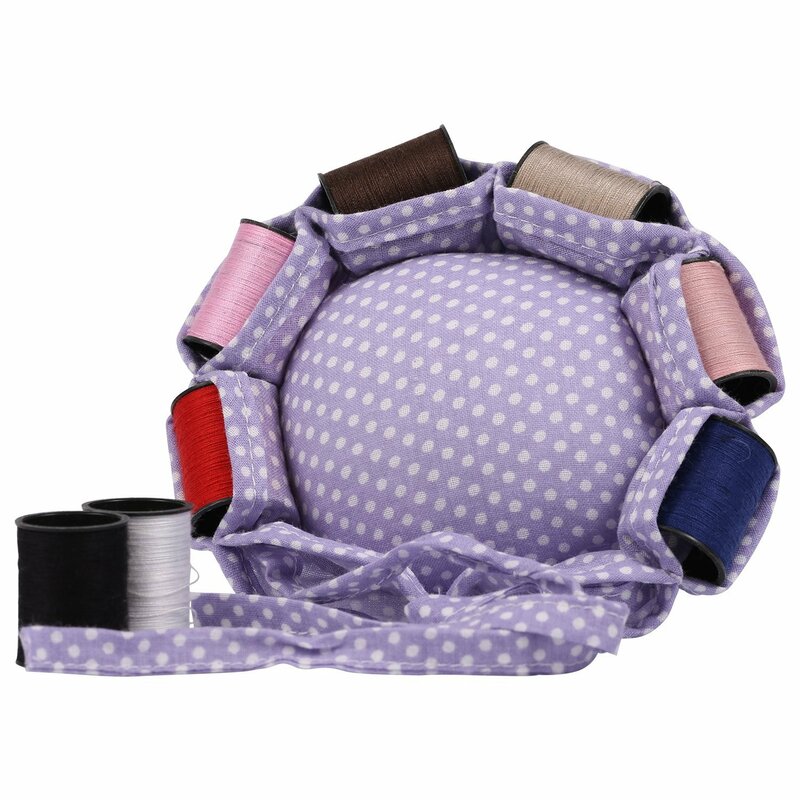 I received one flat piece of round fabric worth about 2 cents. 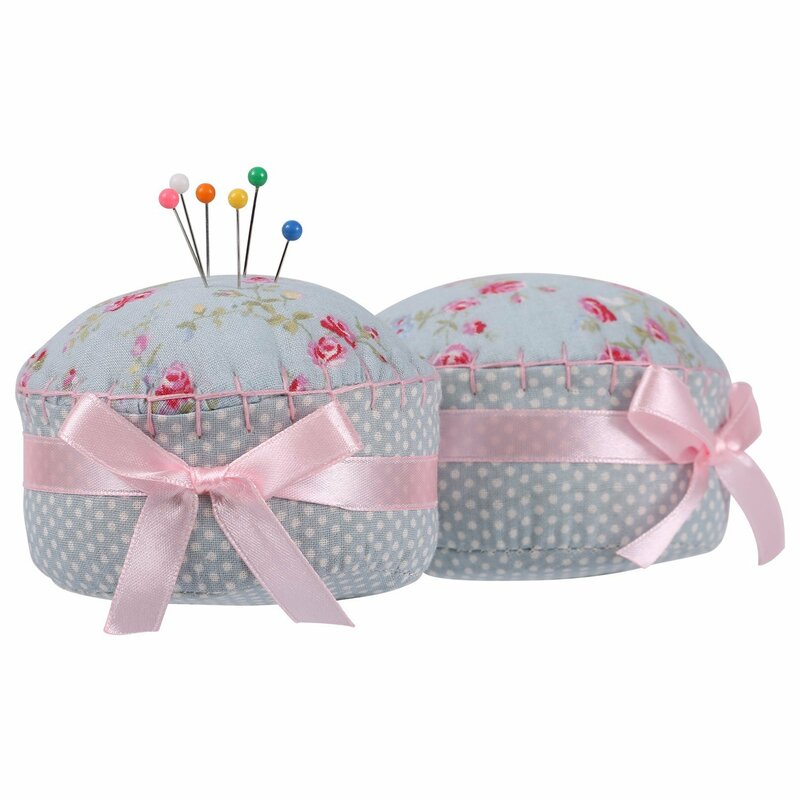 Definitely not a pin cushion. 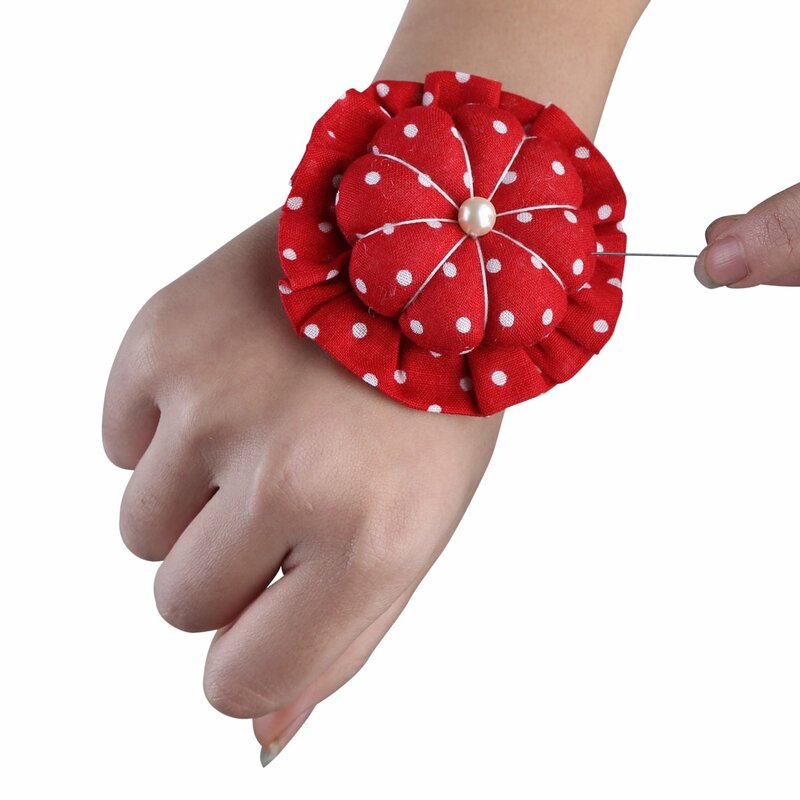 Won't be ordering from this vendor again. 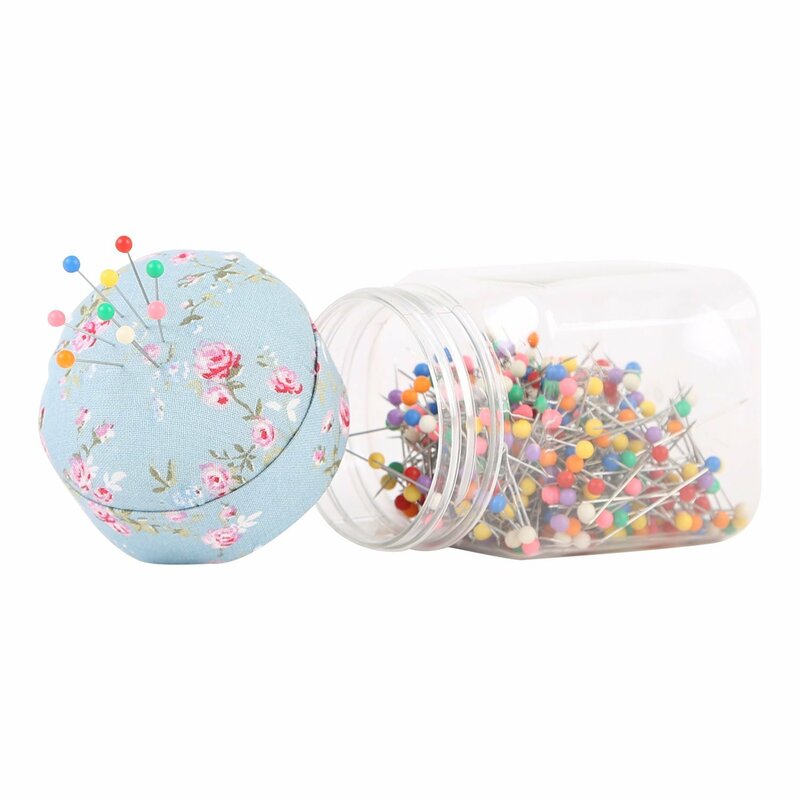 My teen daughter loves this. 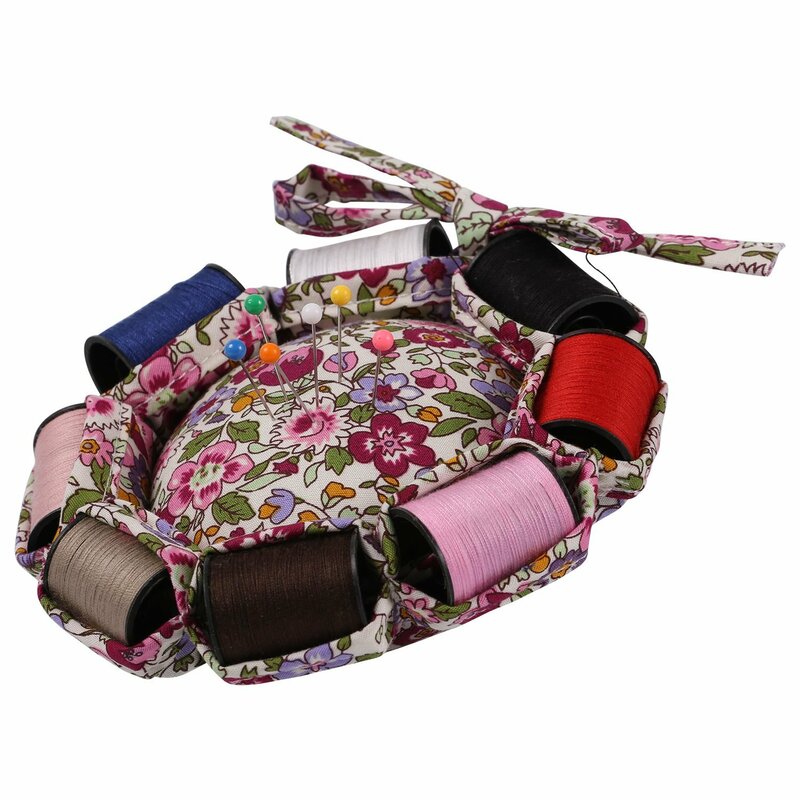 She had to tighten the elastic strap but for an avid see stress that is simple. 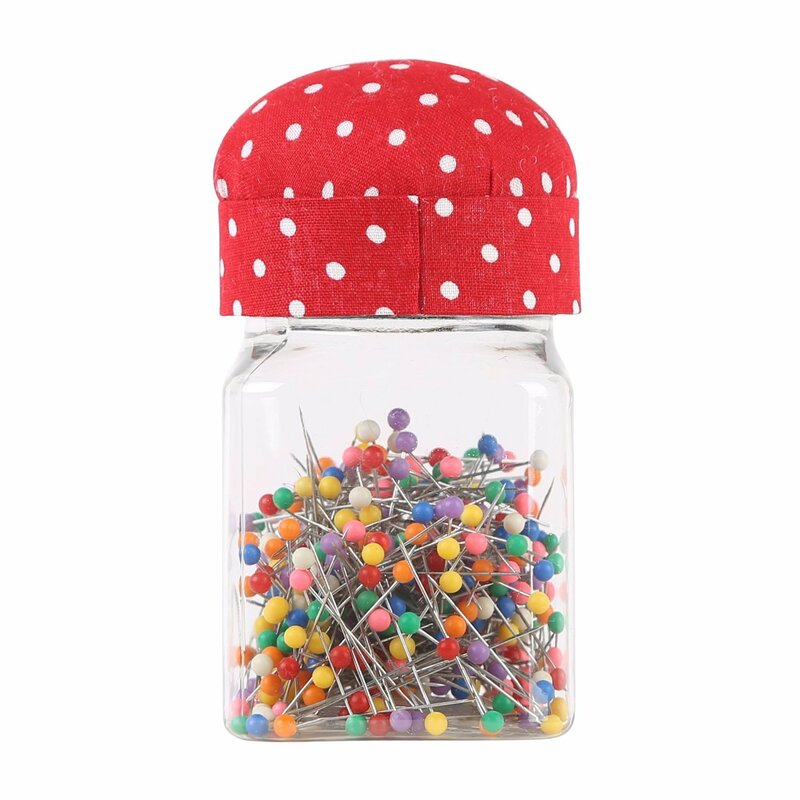 Good quality construction. 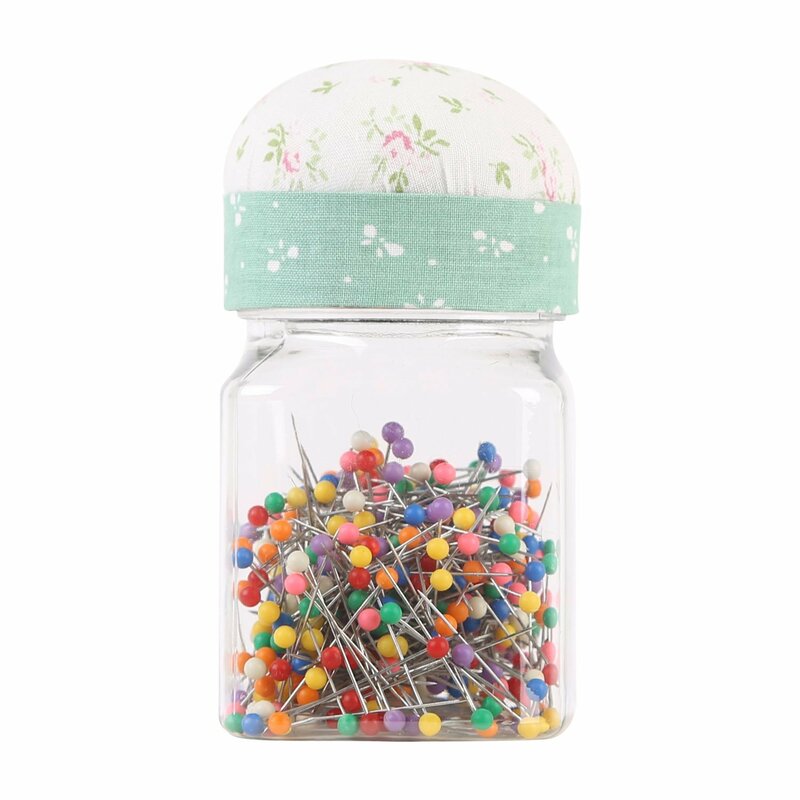 This is so lightweight vs. glass containers and is perfect for traveling or classes. 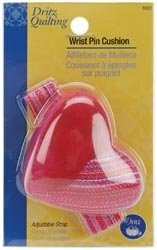 Dritz Quilting Wrist Pin Cushion Assorted Colors 3002 (1-Pack) Prym Consumer USA Inc.